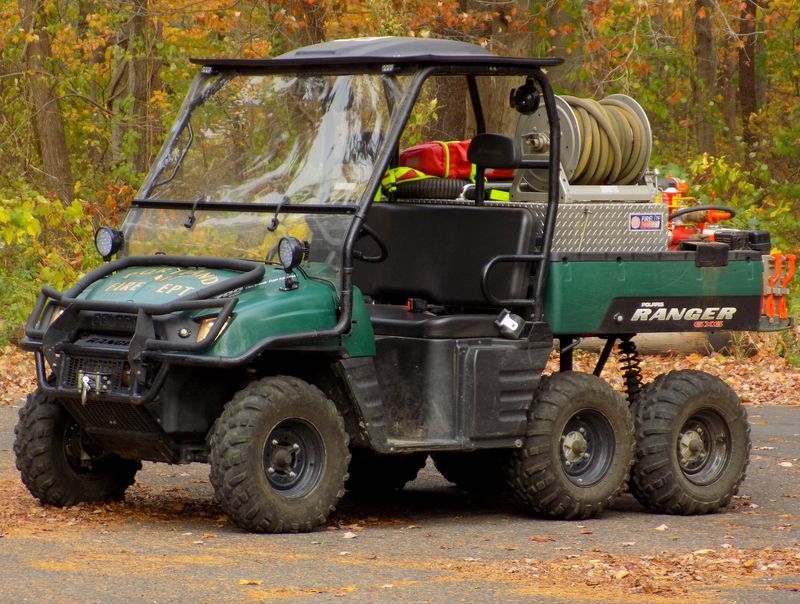 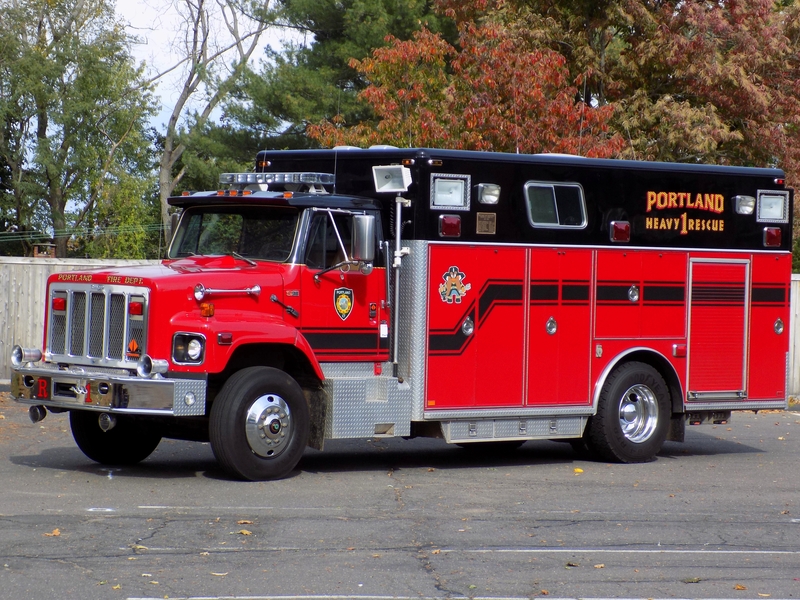 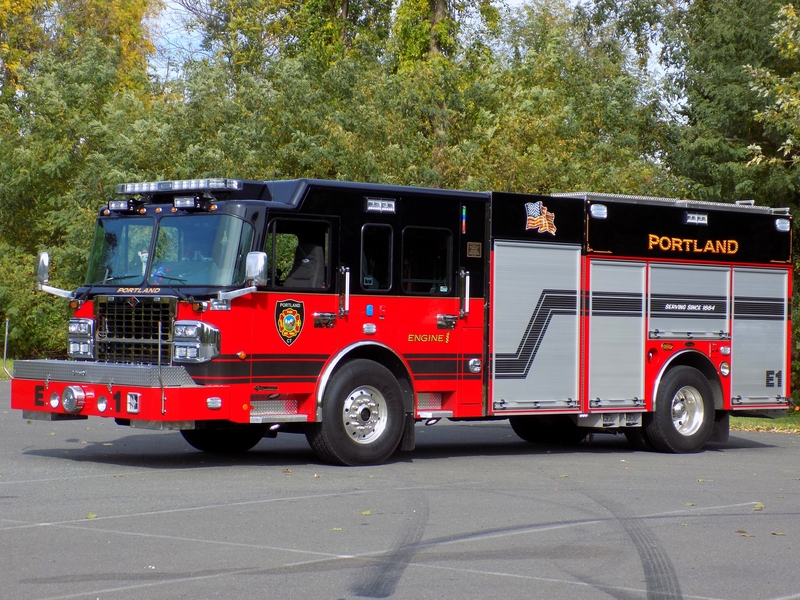 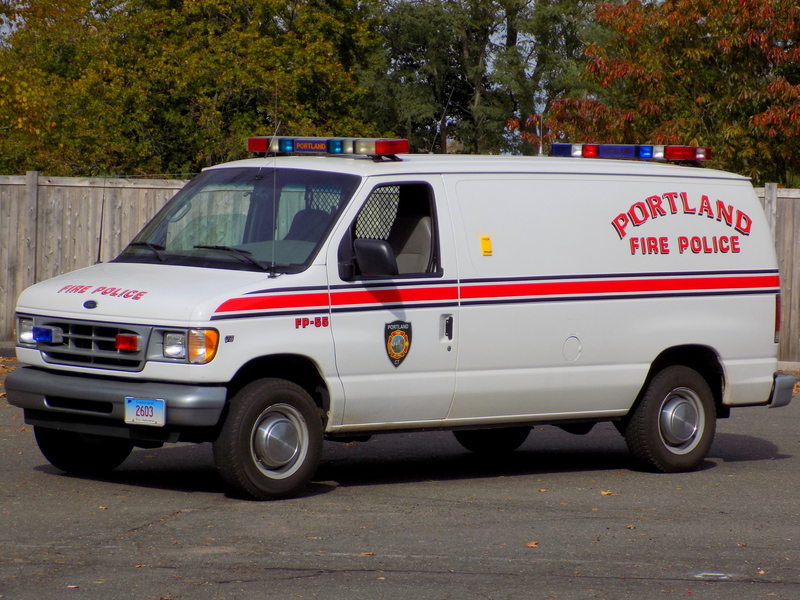 11/4/16 - Replaced the Engine 2, Ladder 1, Rescue 2 and Fire Police 55 pictures, and added ATV 1, Car 7, Engine 1 (view 2), Engine 3, Rescue 1 (view 2), Truck 7, and Tanker 6 to the Portland page. 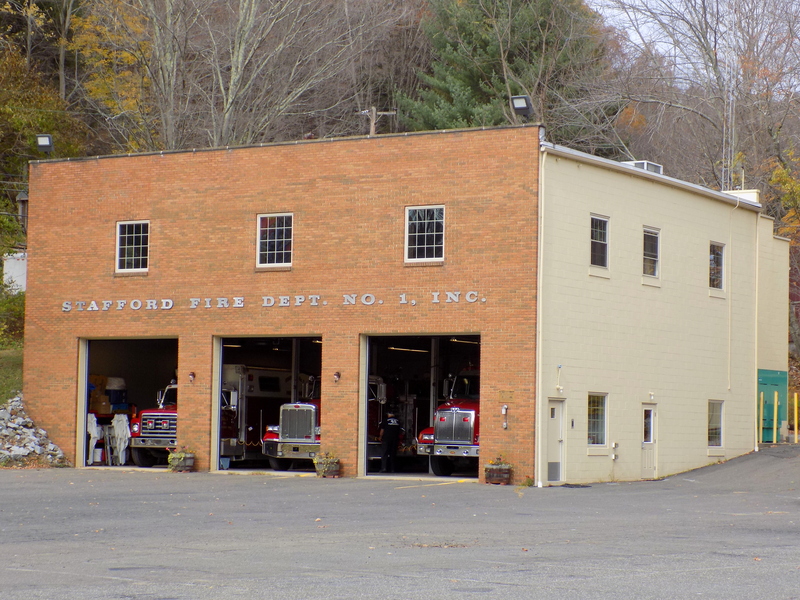 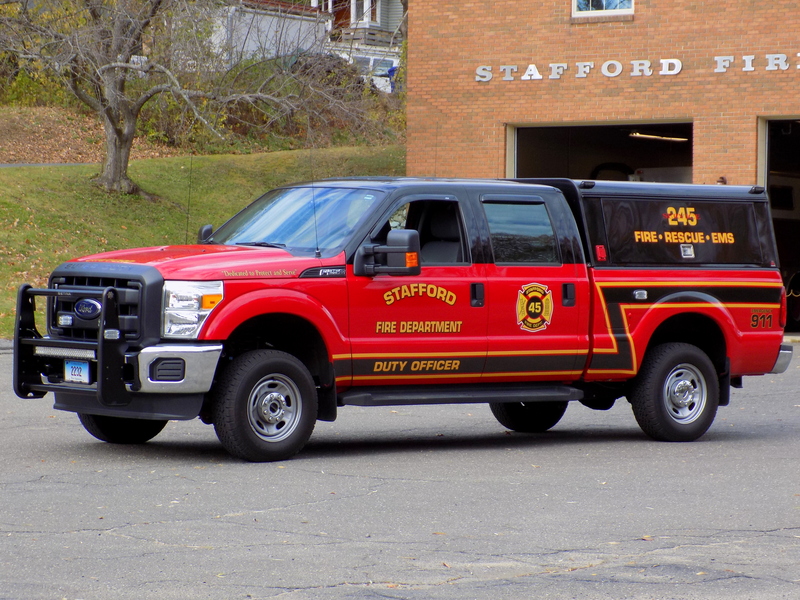 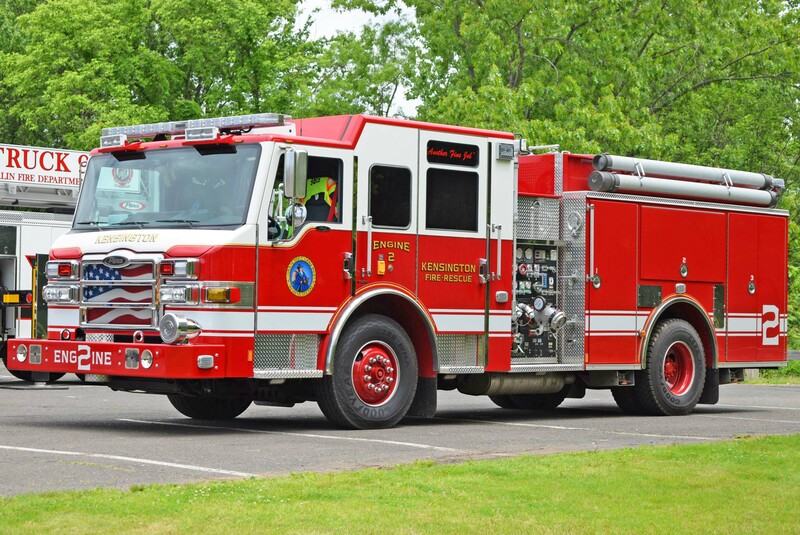 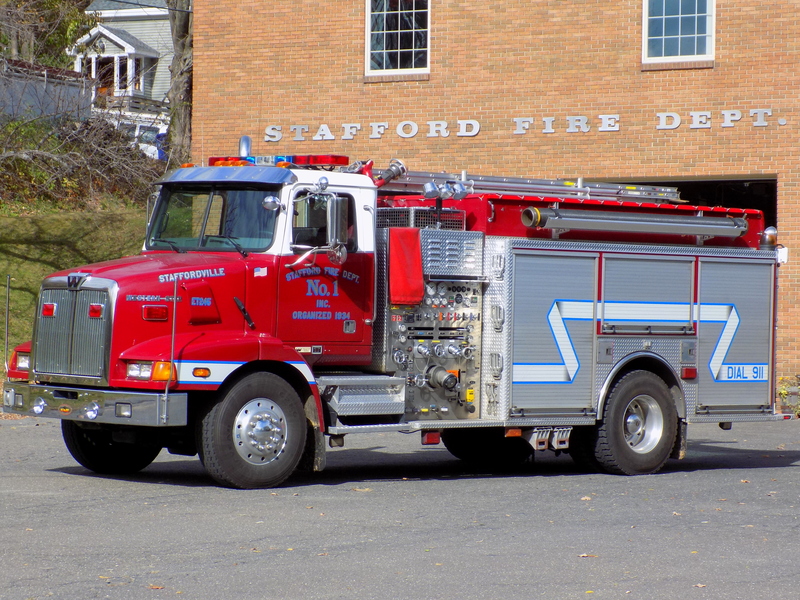 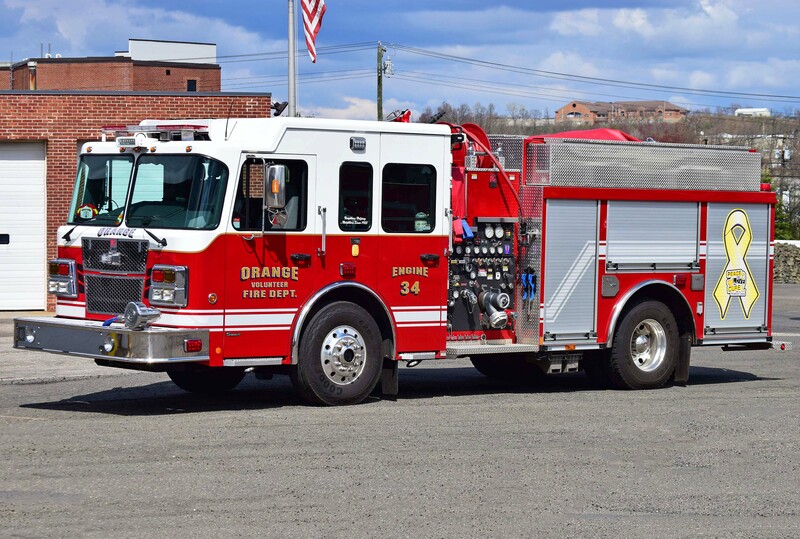 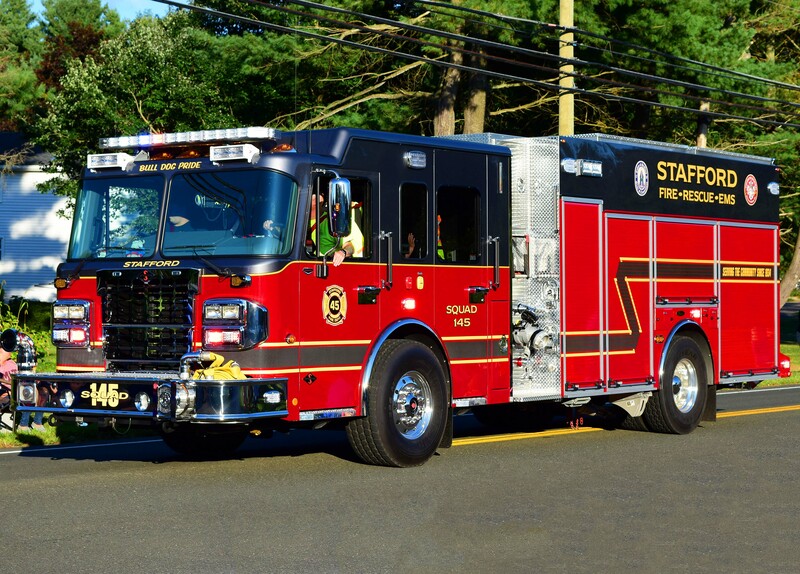 Added Service 245, Forestry 145, Service 345, Engine Tank 145, Engine Tank 245, Engine Tank 345, Rescue 145, Service 145, and Station 145 to the Stafford page. 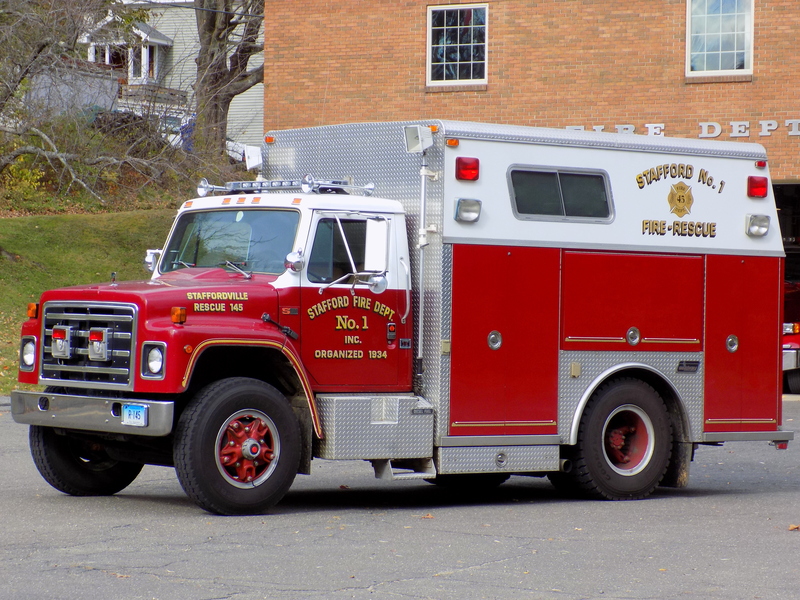 Also replaced the Engine Tank 120 photo on the ﻿Ashford ﻿page. 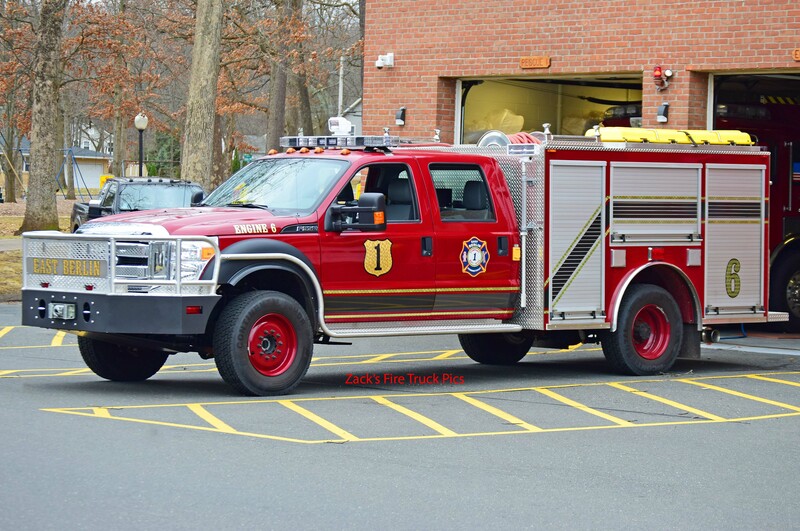 12/7/16 - Replaced the Engine 3 photo, and added Car 11, Engine 2 (view 2), Engine 5, Tanker 4 (view 2), and Rescue 8 to the East Granby page. 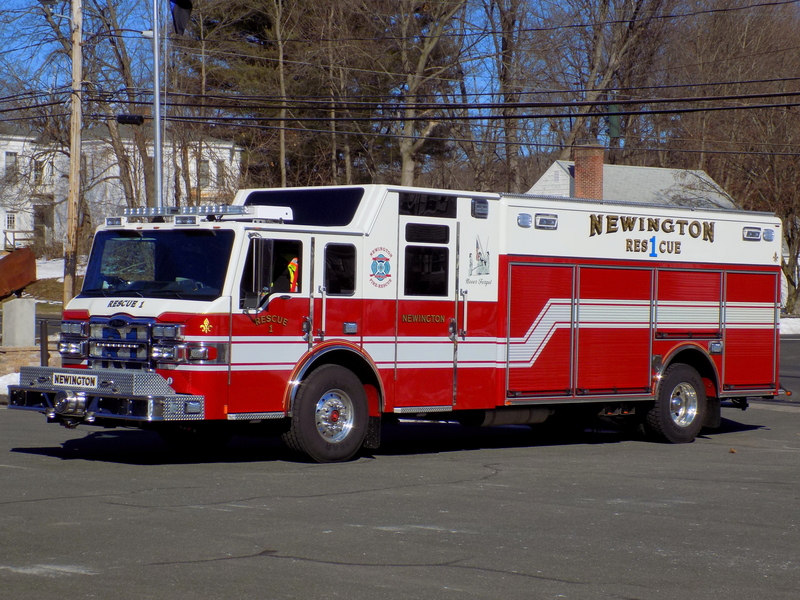 2/21/17 - Added the Antique Truck, Engine 1, Engine 3 (view 2), Tower 1 and *NEW* Rescue 1 to the Newington page. 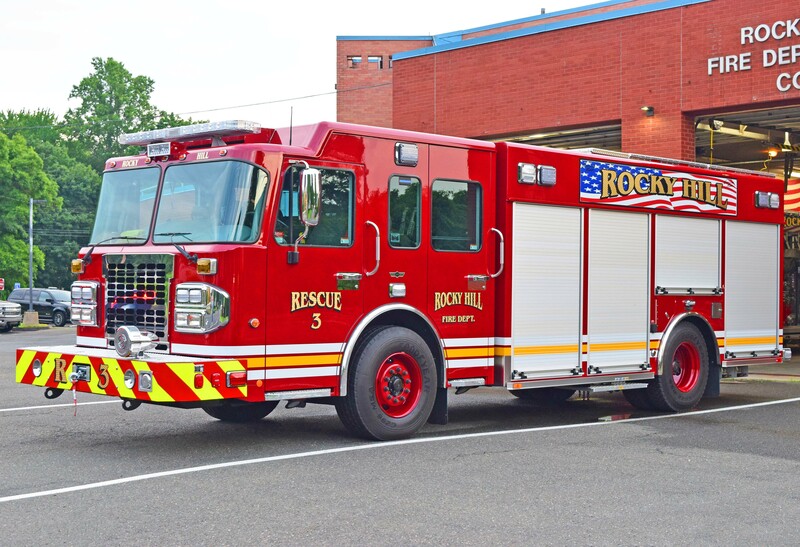 2/28/17 - Added Engine 1, Engine 2, Engine 3, ﻿Truck 1﻿, Truck 2, Rescue 3, ﻿Utility 1﻿, Utility 2, and Utility 3 to the Rocky Hill page. 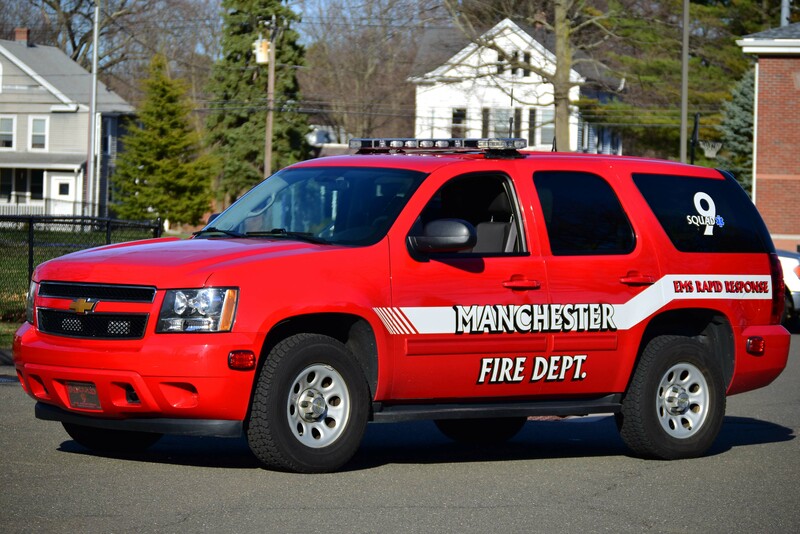 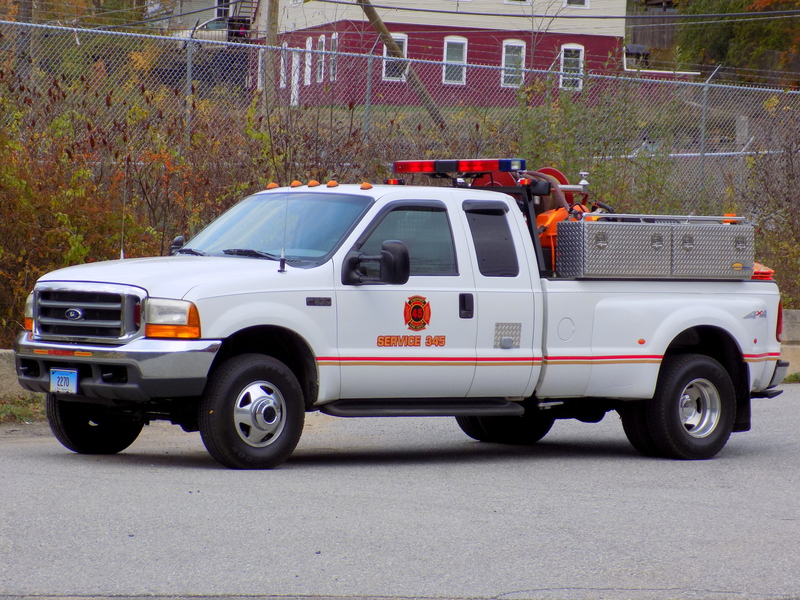 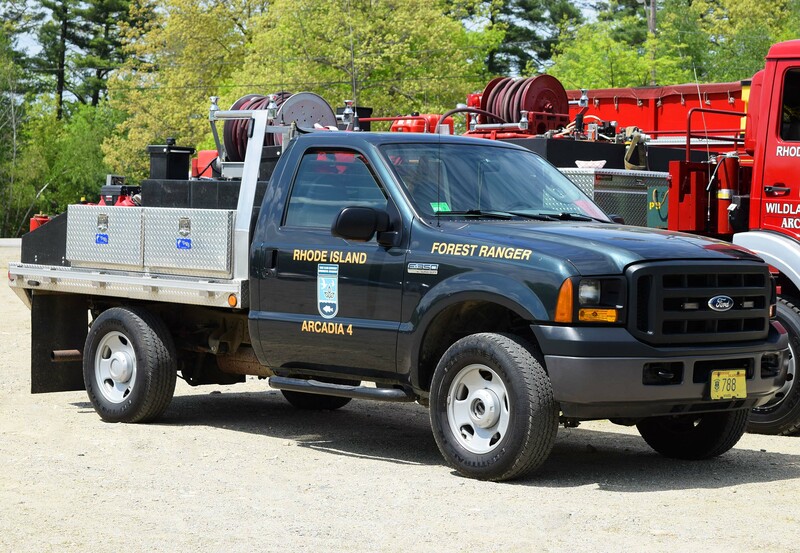 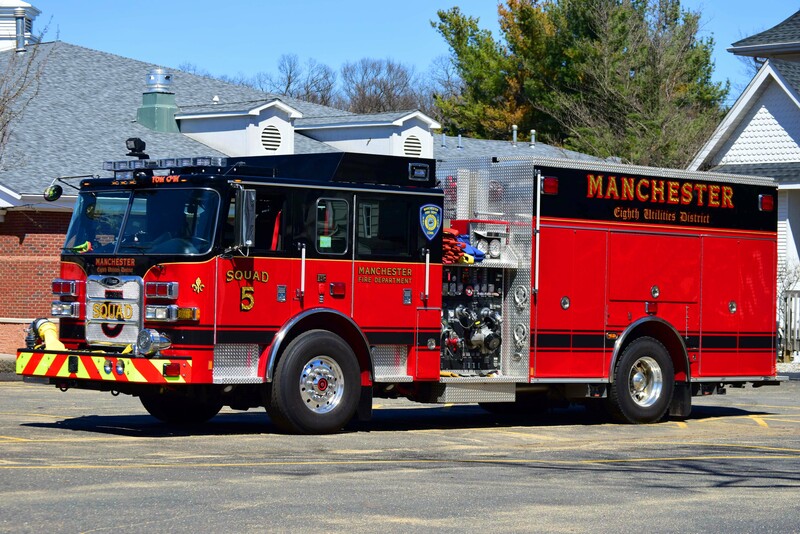 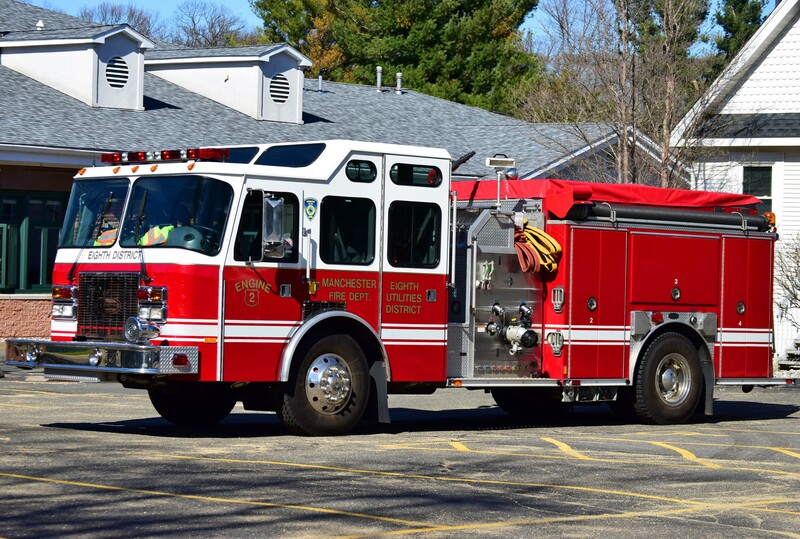 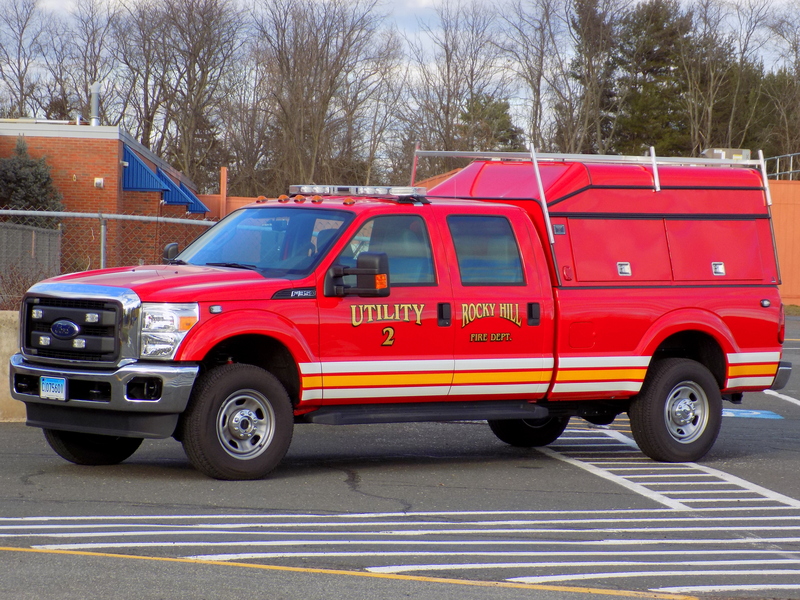 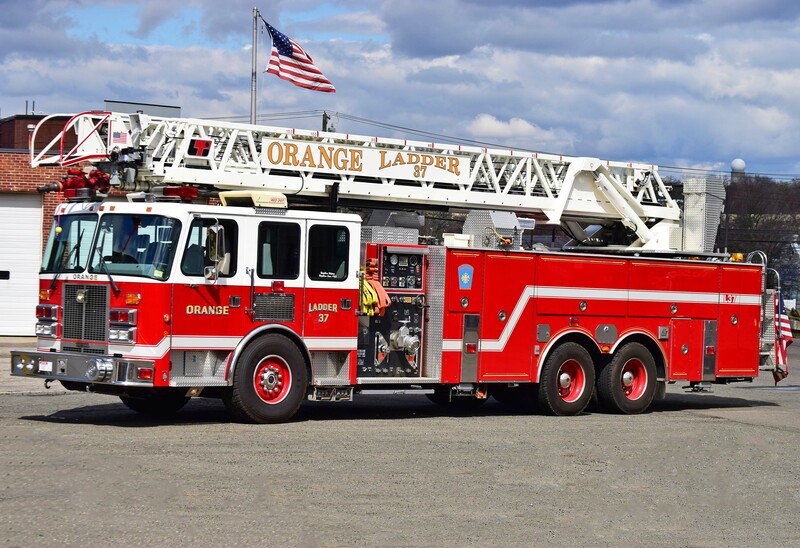 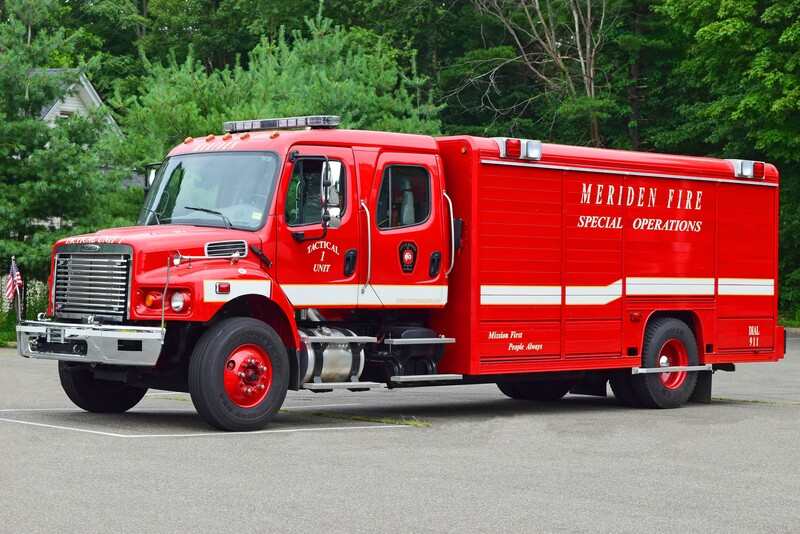 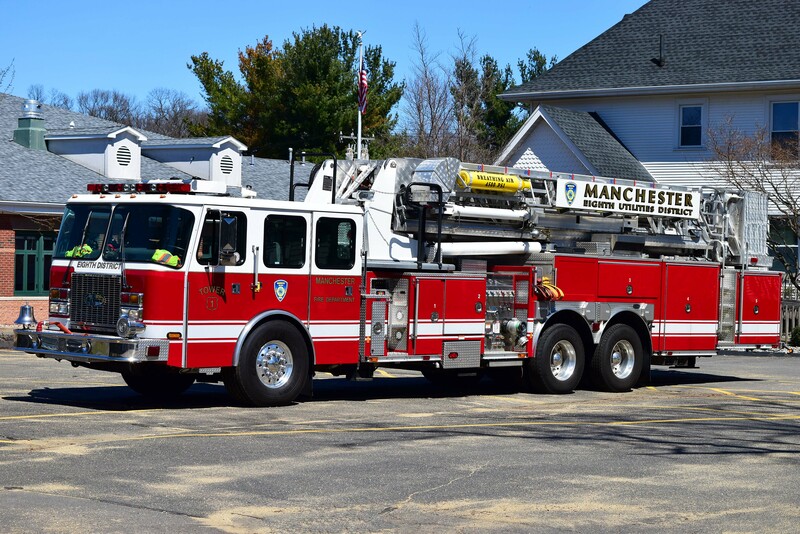 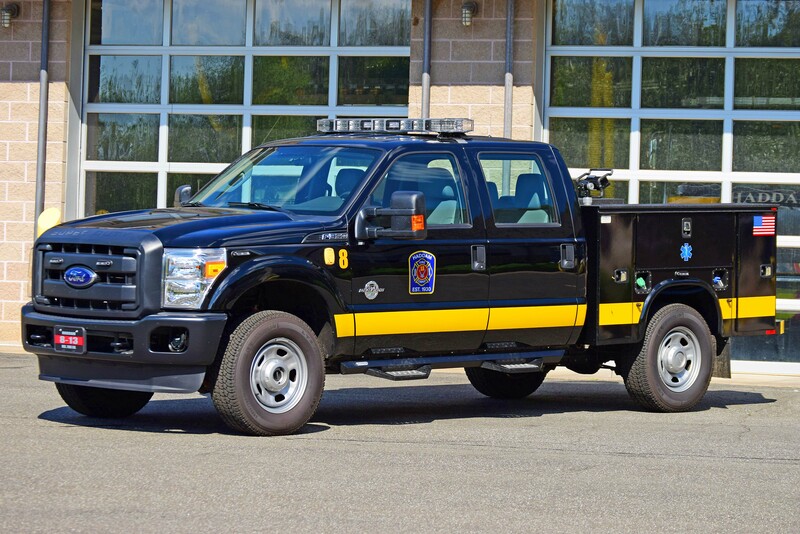 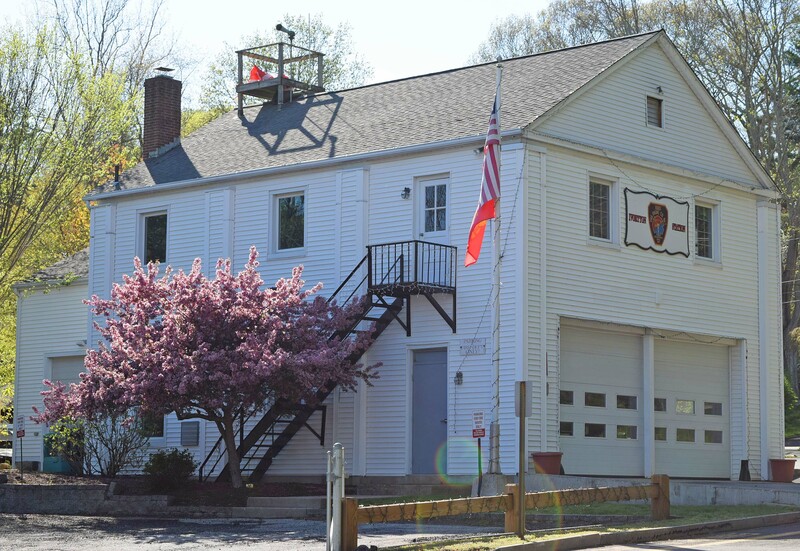 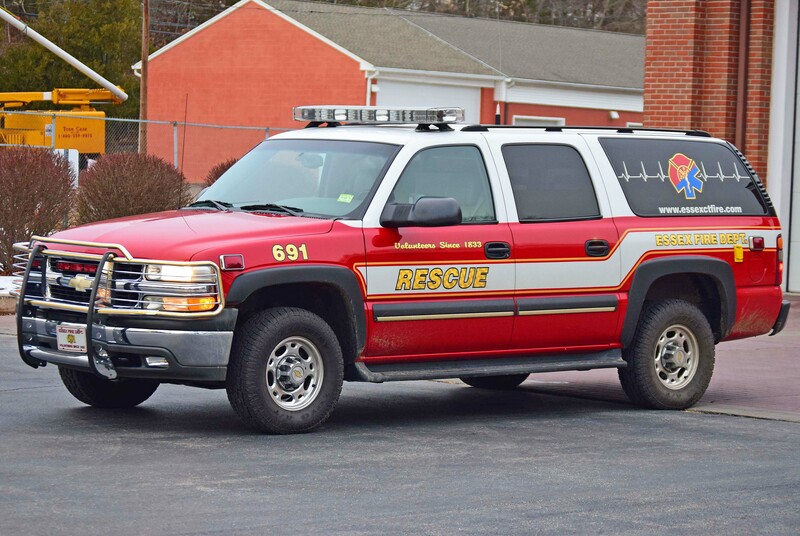 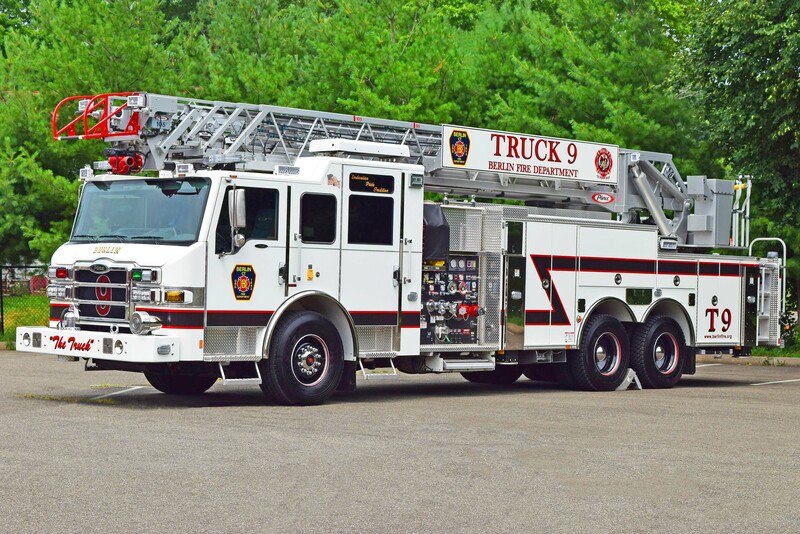 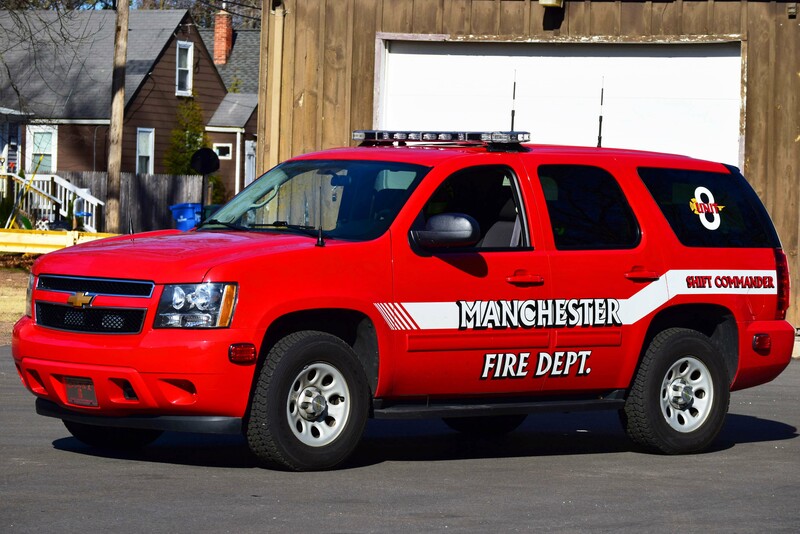 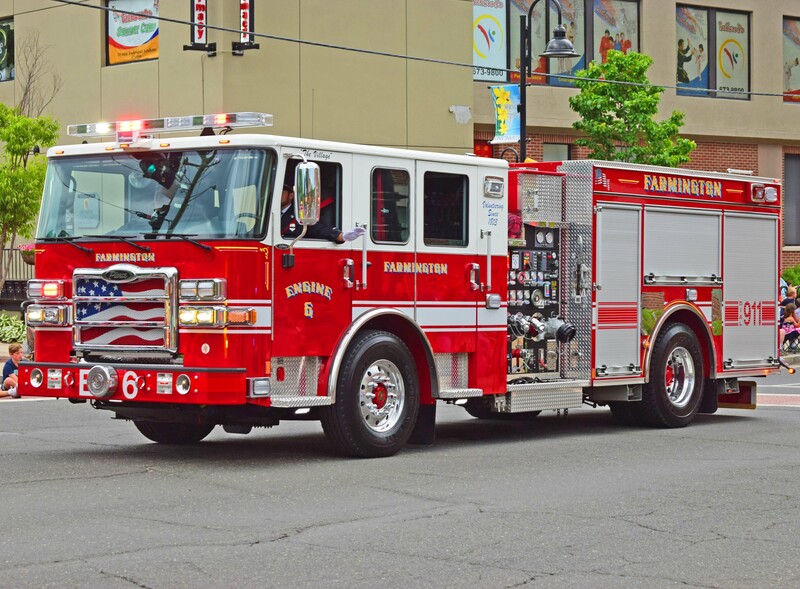 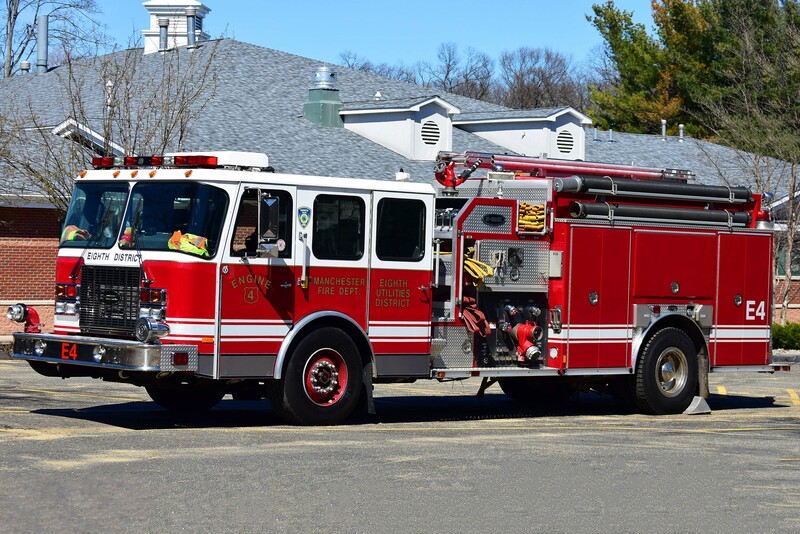 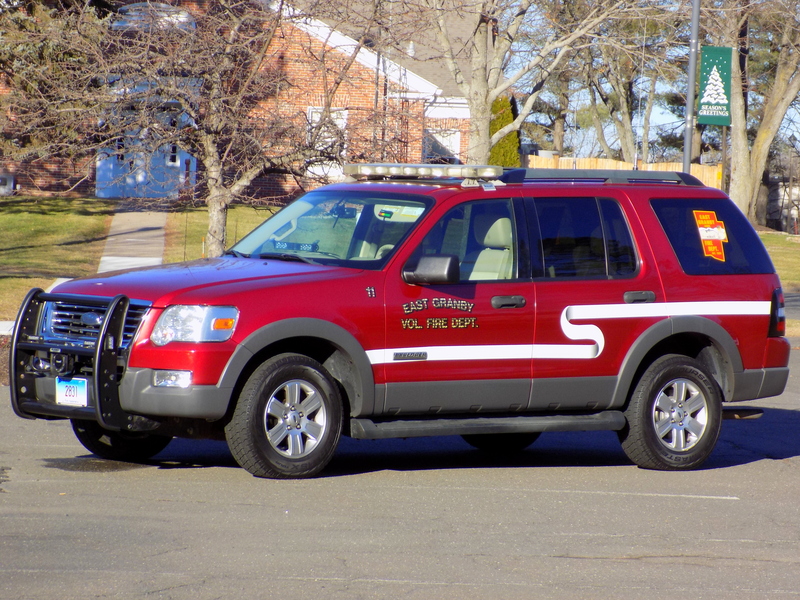 4/13/17 - Added Engine 2, Engine 3, Engine 4, Squad 5, *NEW* Rescue 7, Tower 1, Unit 8, Squad 9, and Service 1 to the Manchester Eighth Utilities page. 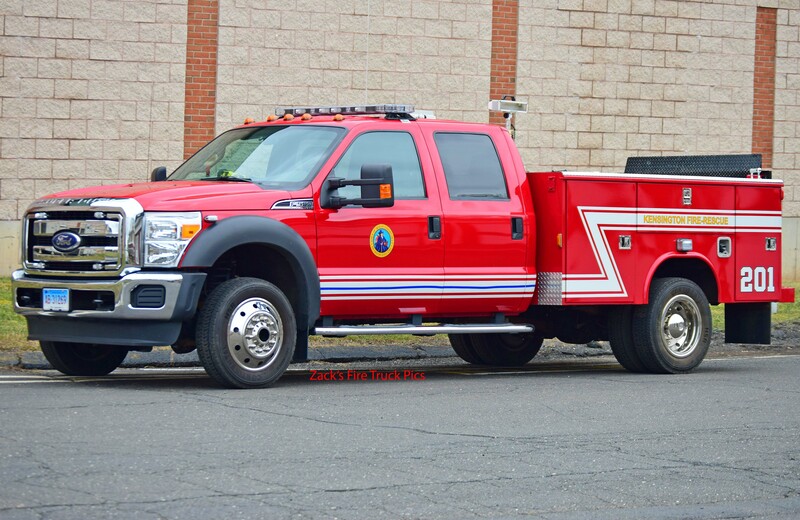 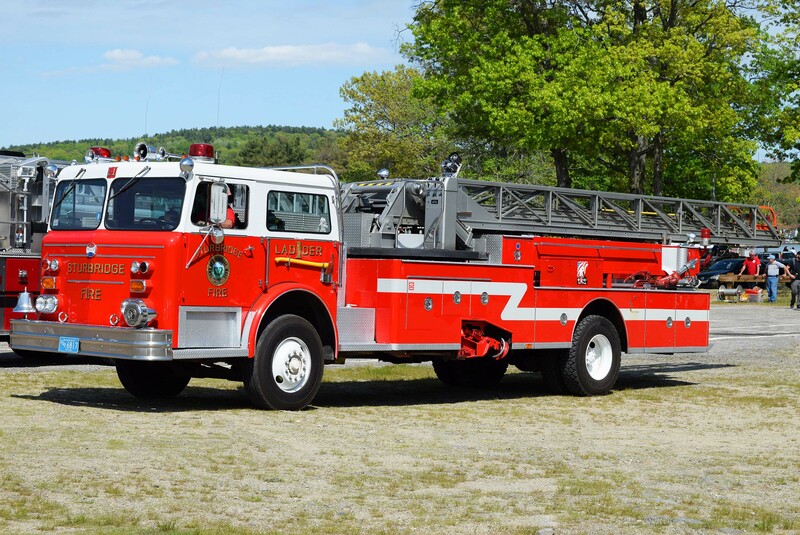 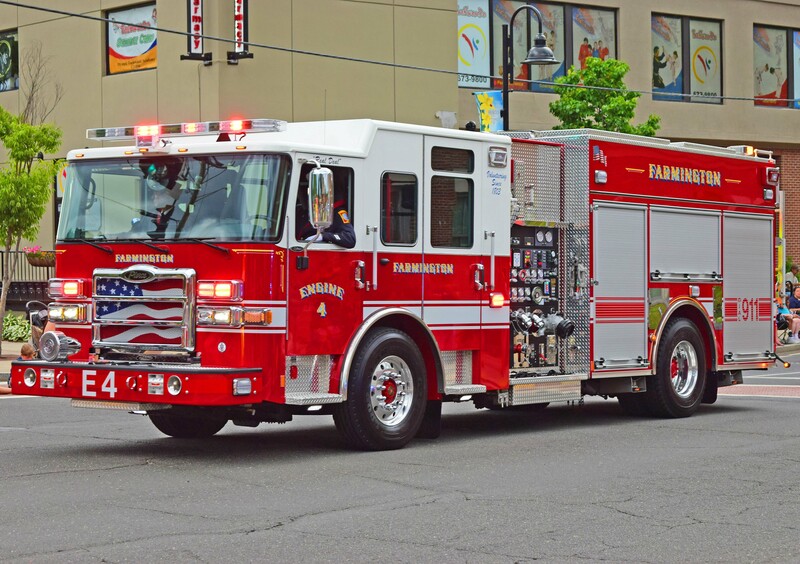 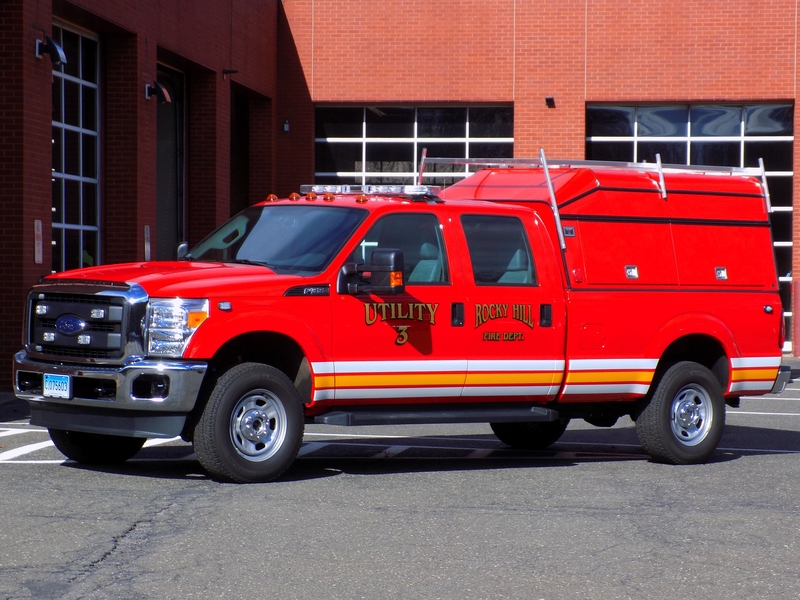 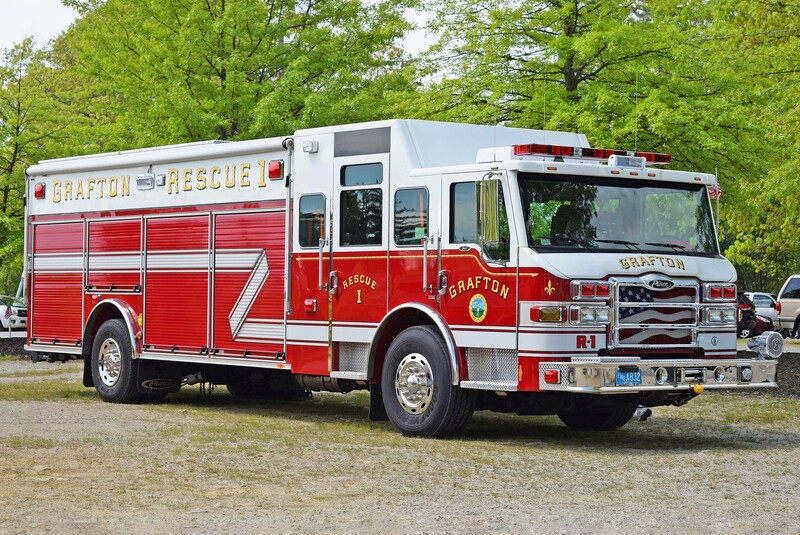 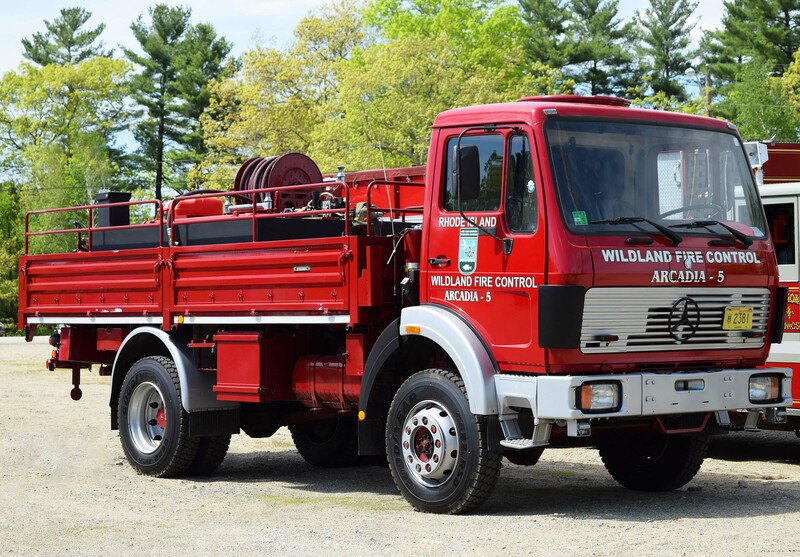 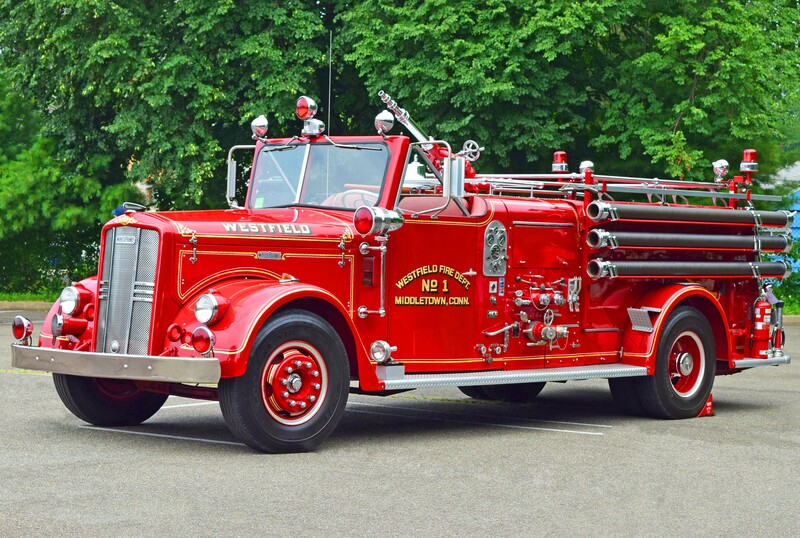 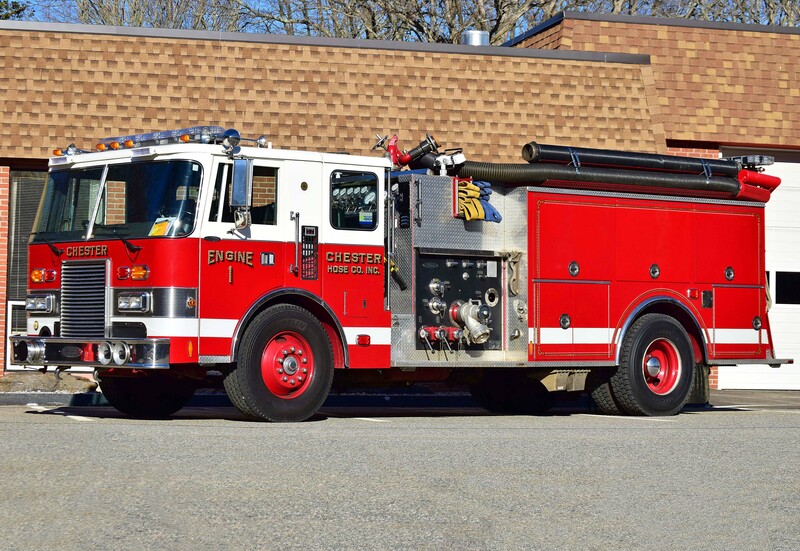 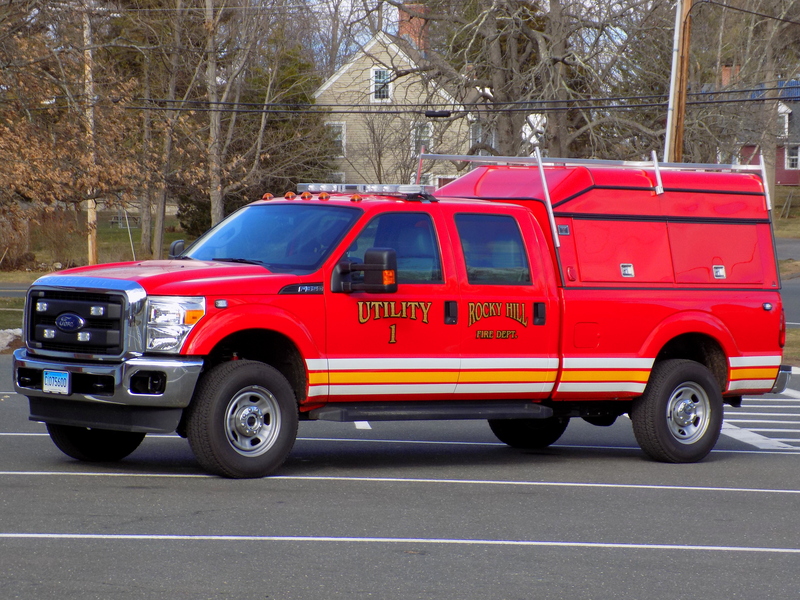 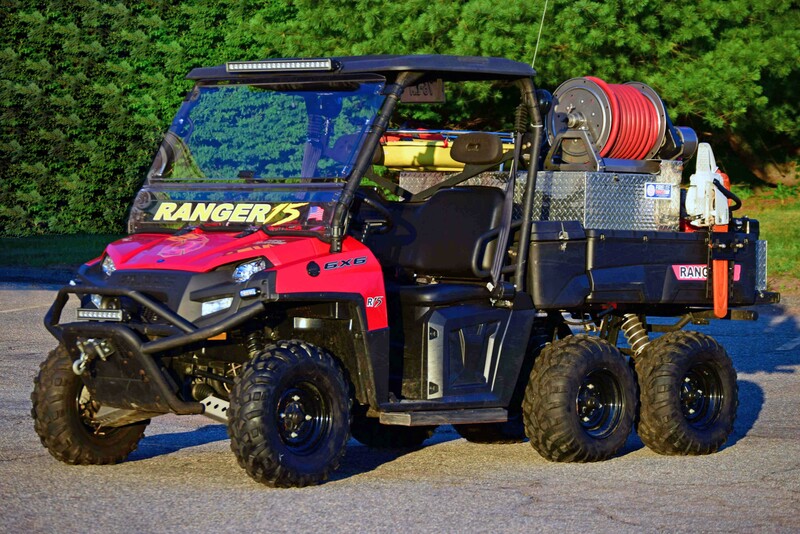 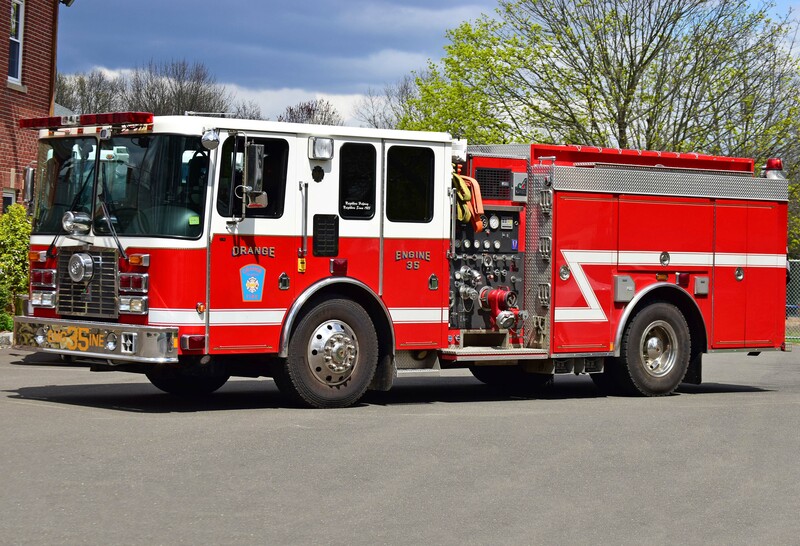 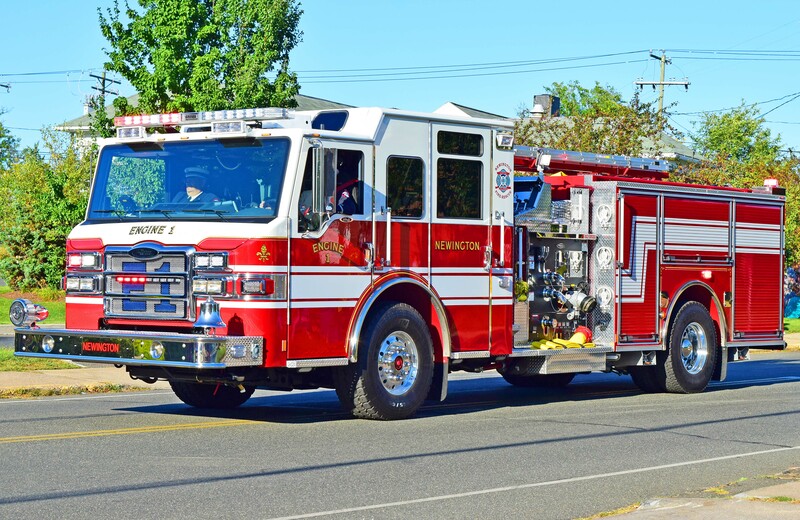 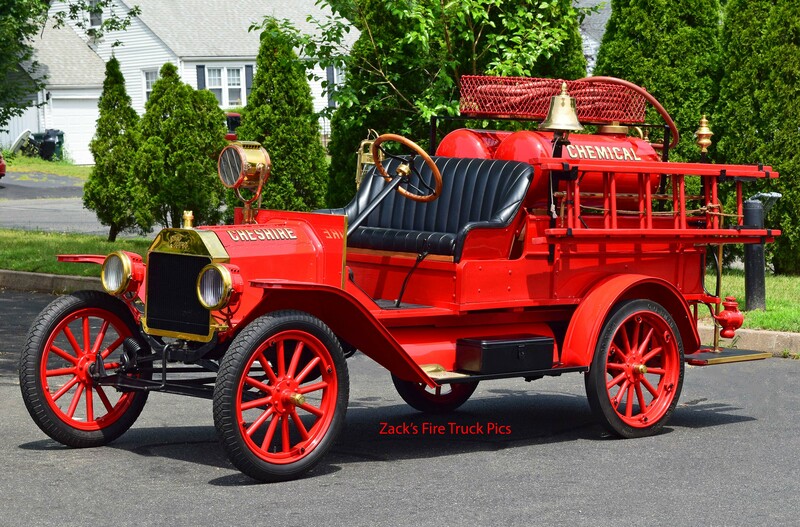 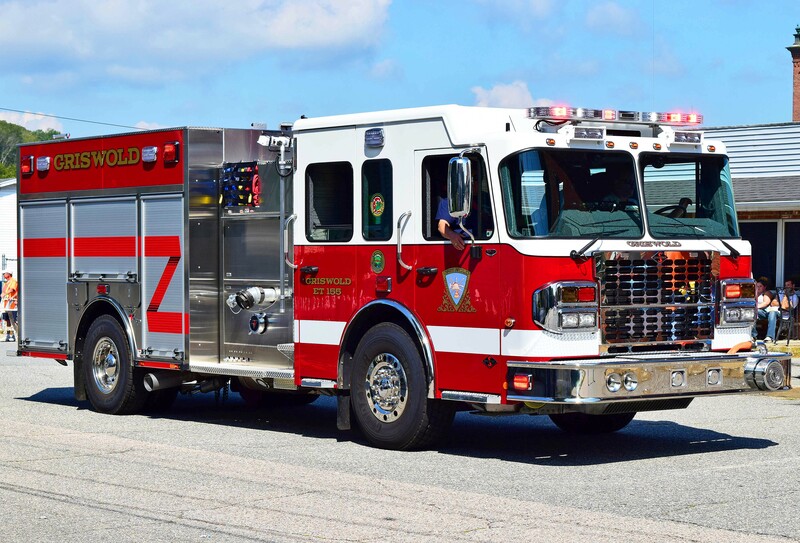 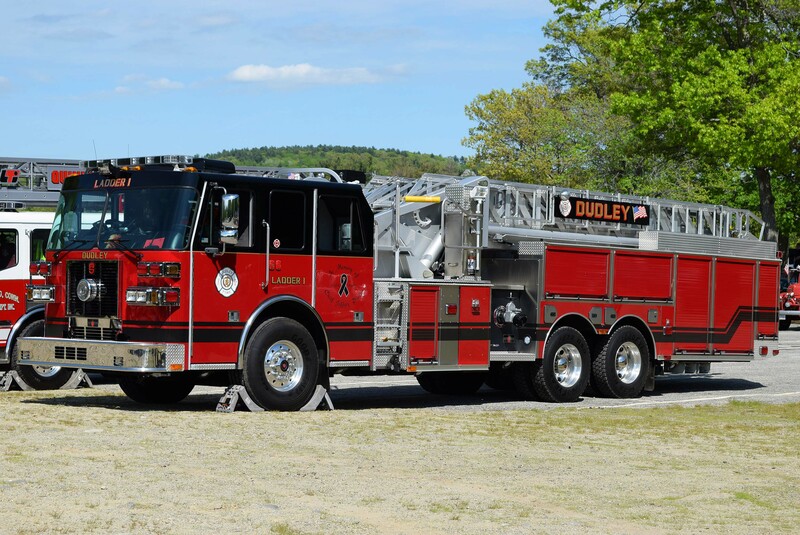 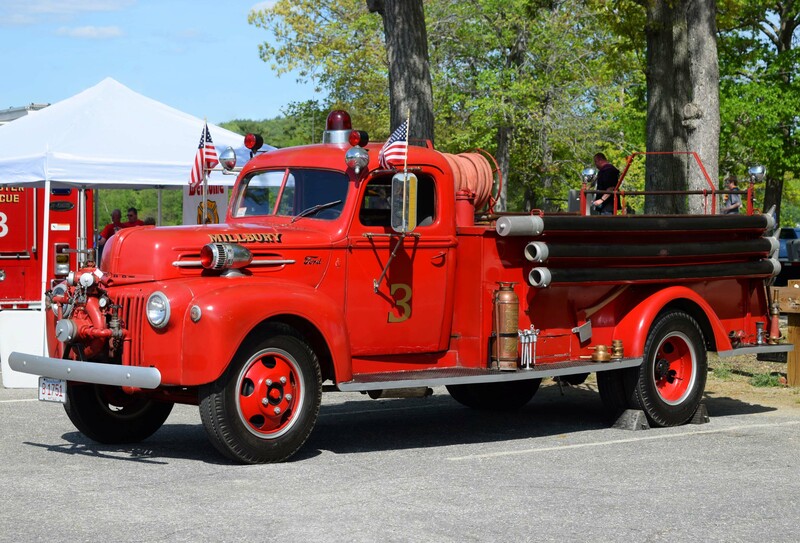 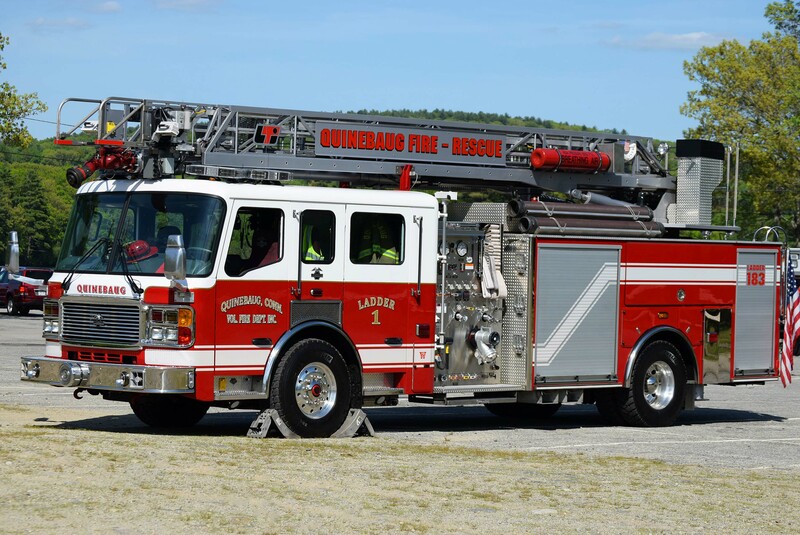 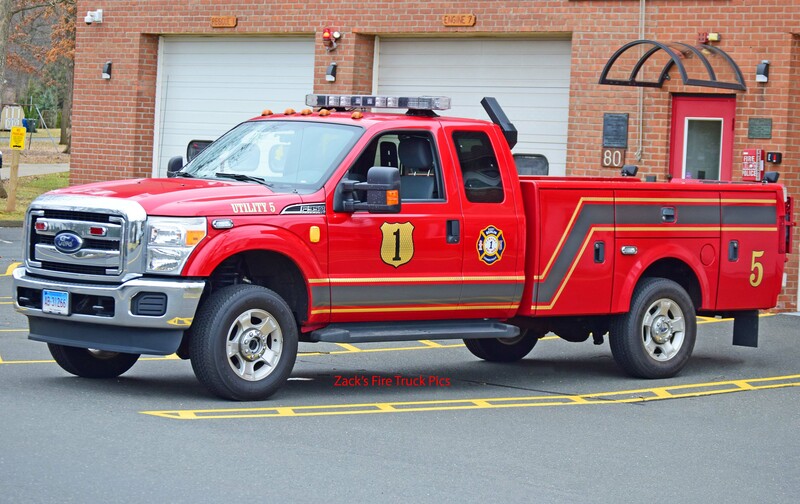 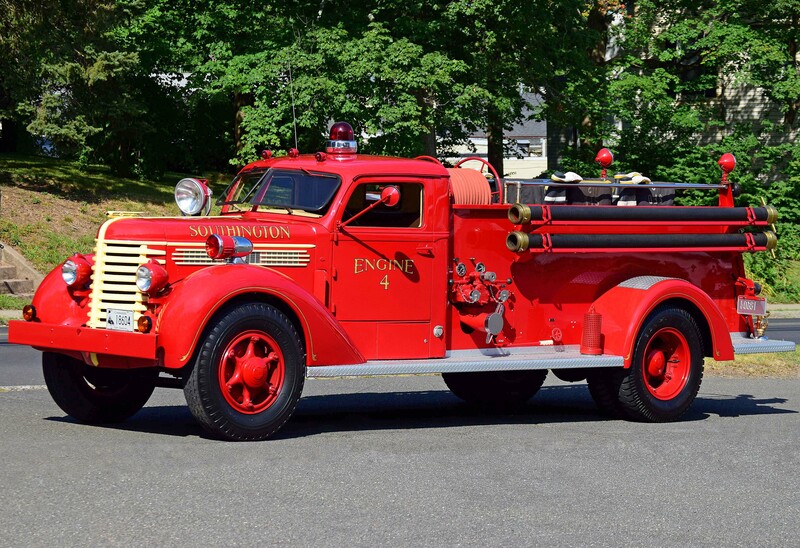 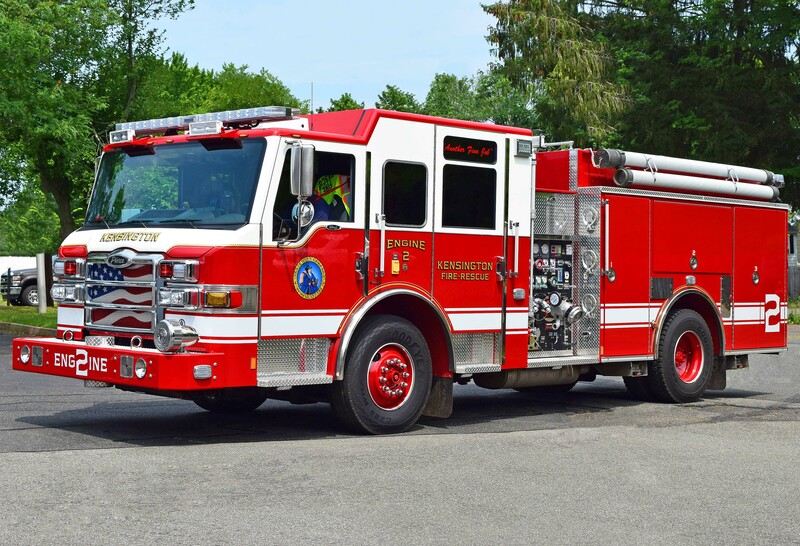 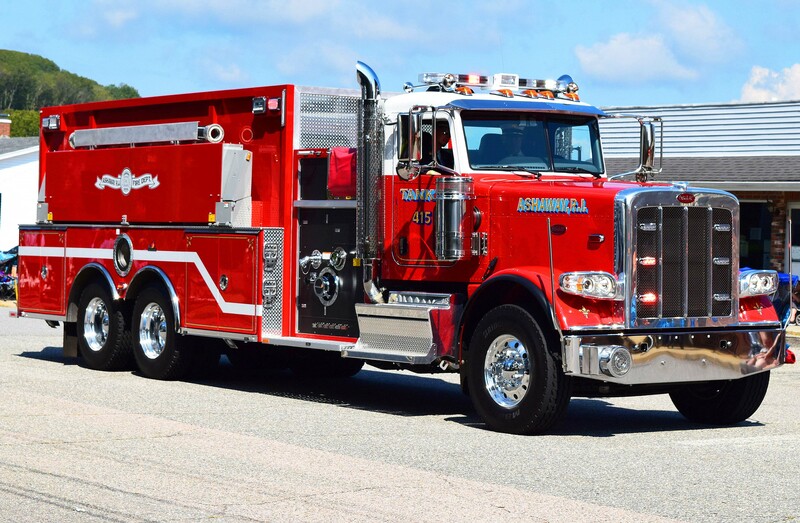 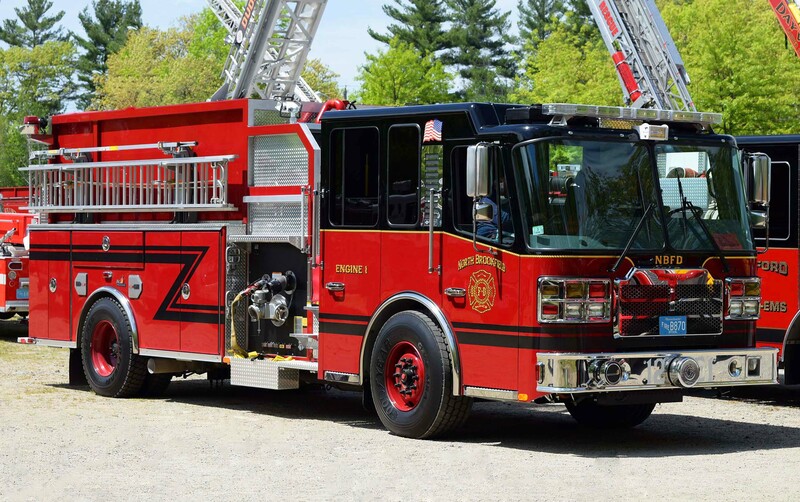 5/28/17 - Added *NEW* Engine 2 to the Kensington page, and added Ladder 1 to the Dudley, MA page, Rescue 1 to the Grafton, MA page, the Antique Truck and Hose 1 to the Millbury, MA page, Engine 1 to the North Brookfield, MA page, Brush 4 and Brush 5 to the RI DEM Forestry page, Ladder 1 to the Sturbridge, MA page, Tanker 285 to the East Thompson page, and Ladder 183 to the Quinebaug page. 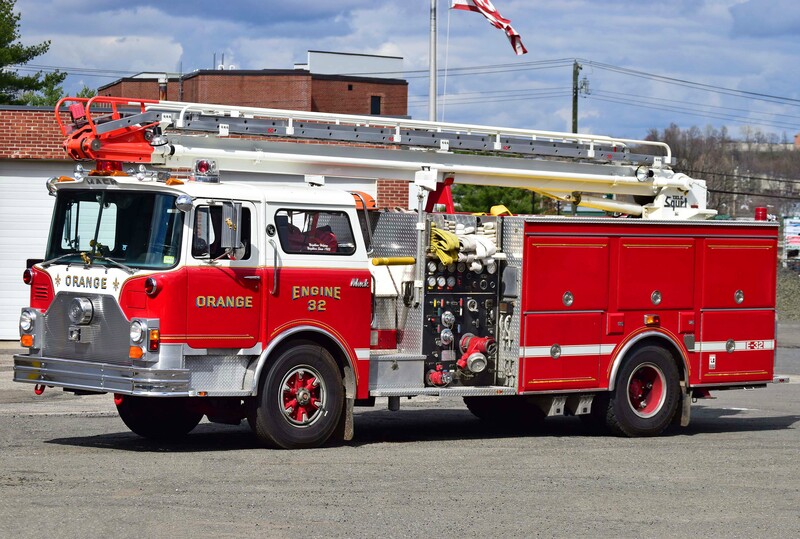 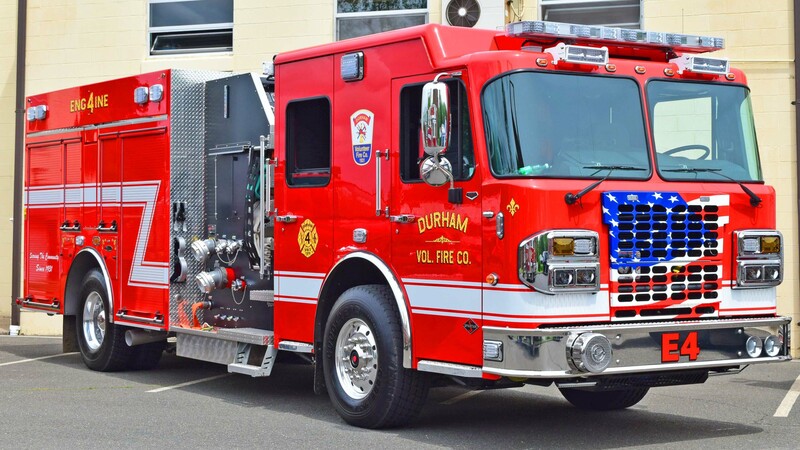 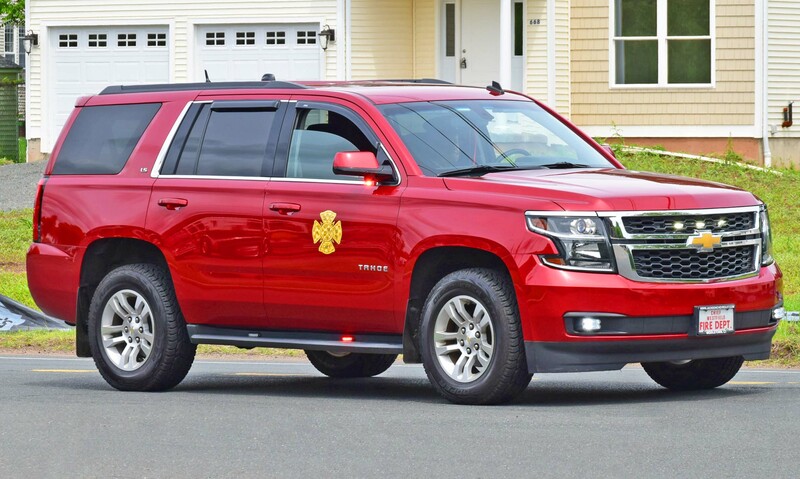 7/2/17 - Added *NEW* Engine 4 to the Durham page, and added Rescue 1 (view 2) to the East Berlin page, added Engine 30 (view 2) to the South Fire District page, added Car 10-5 (view 2), the Antique Truck (view 3), EMS 7 (view 4), and Rescue 3 (view 2) to the Westfield page. 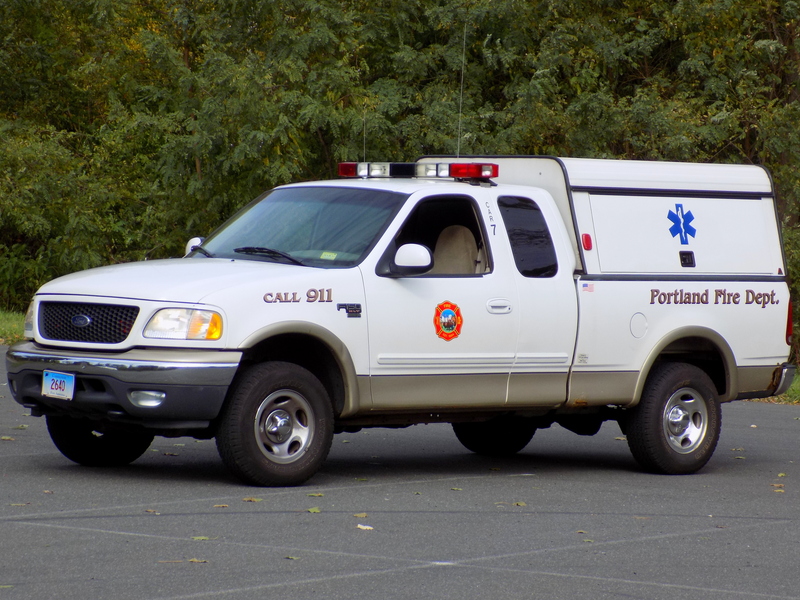 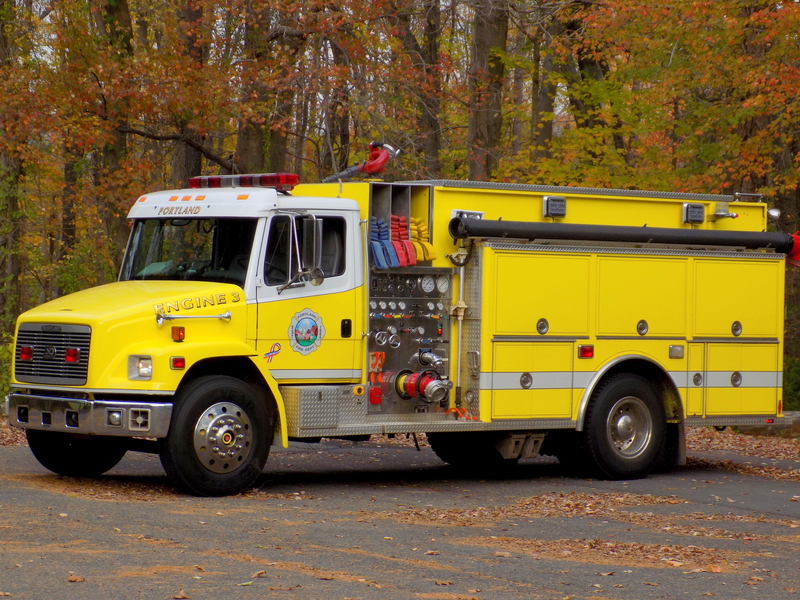 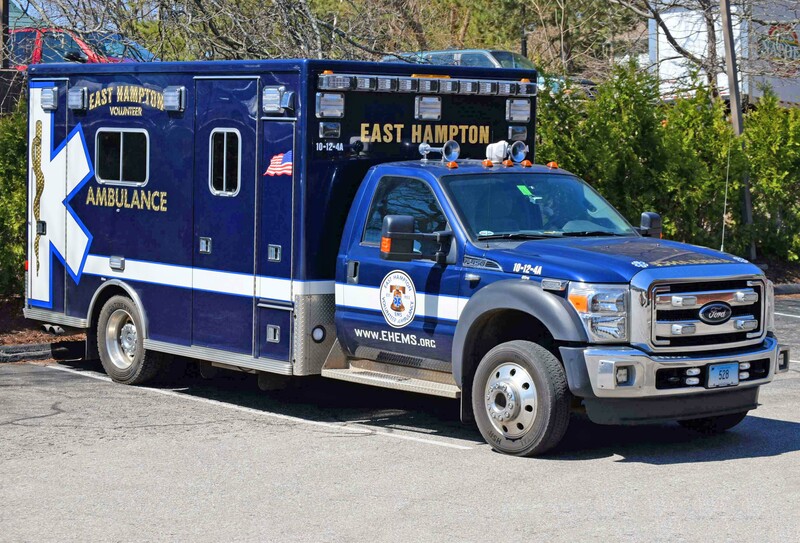 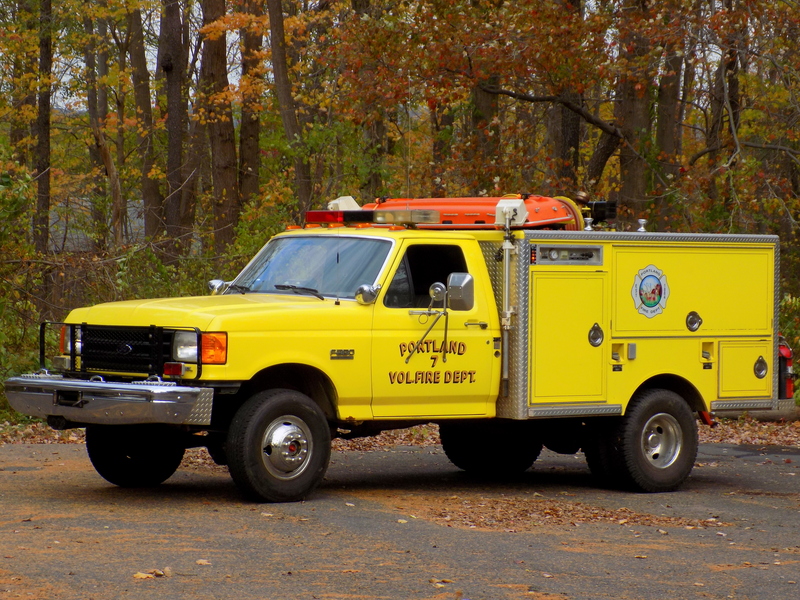 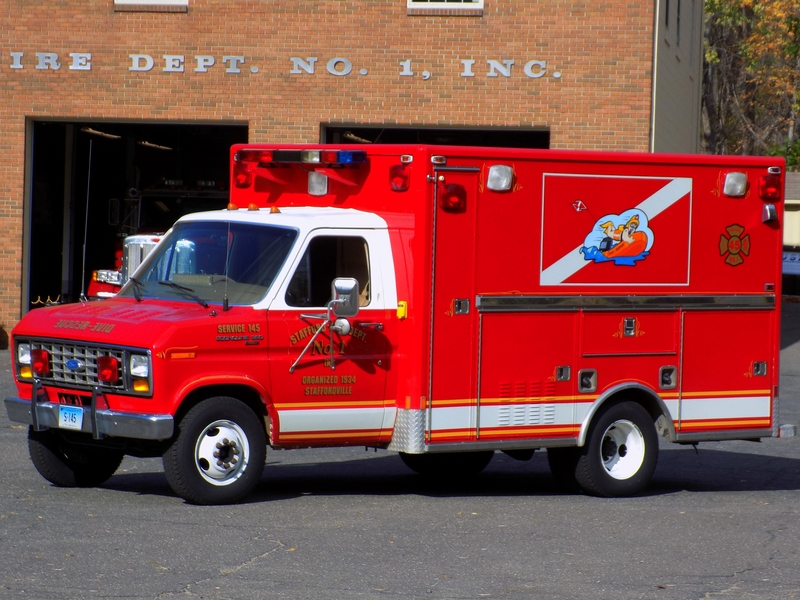 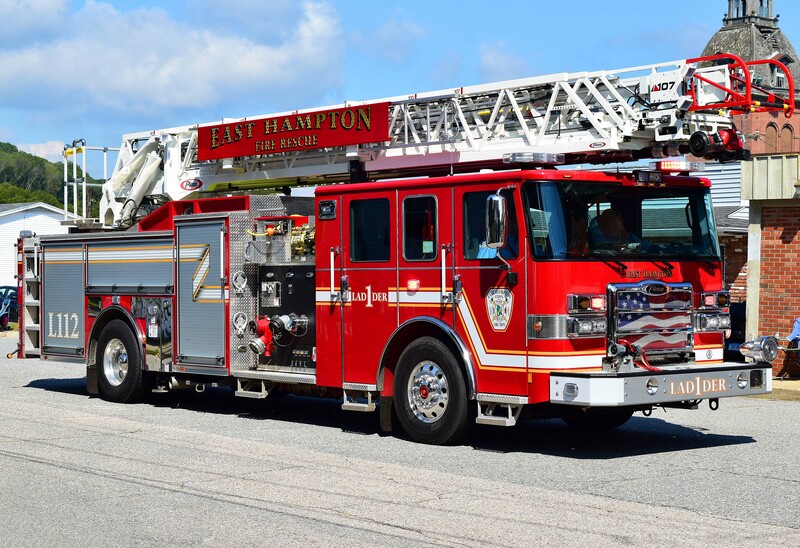 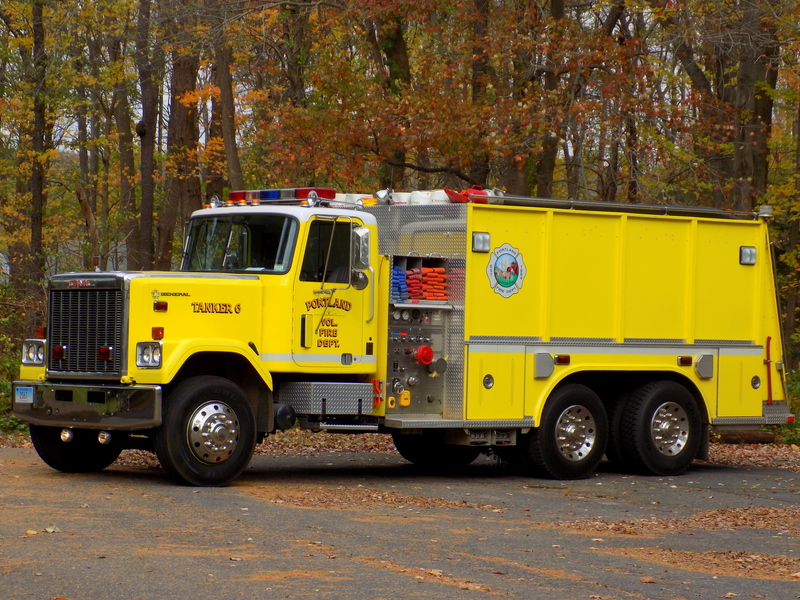 Also added Ambulance 10-14-4A to the East Hampton EMS page. 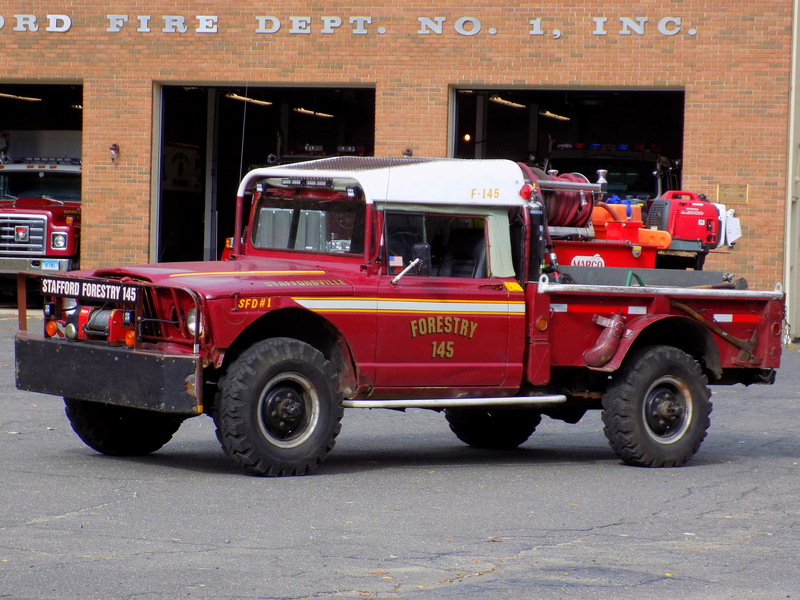 8/30/17 - I have an almost 2 month long backlog of pictures to add, so I'm not going to list out most of them. 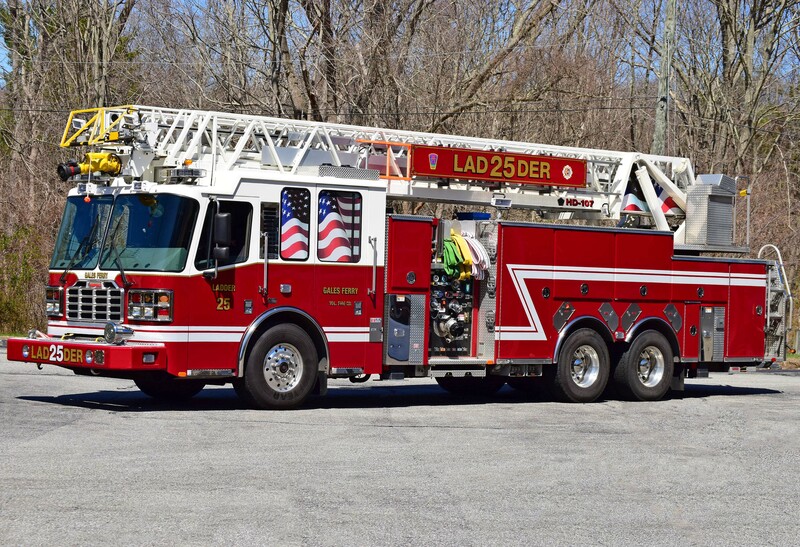 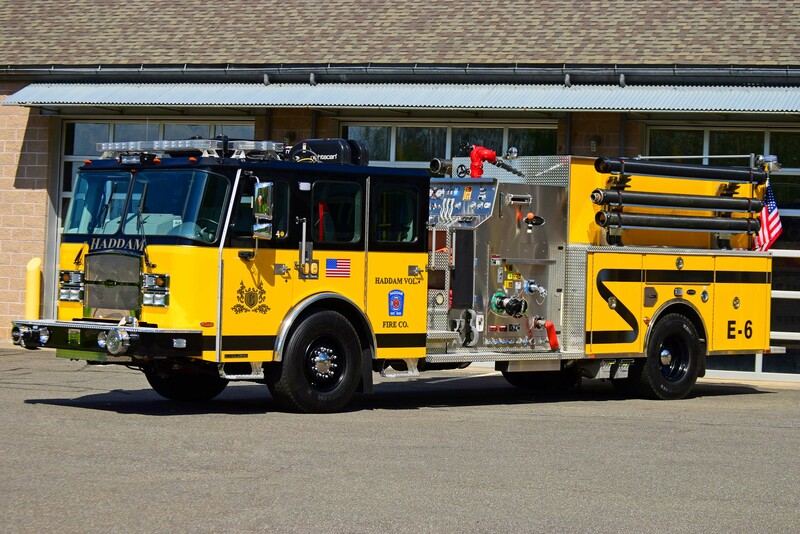 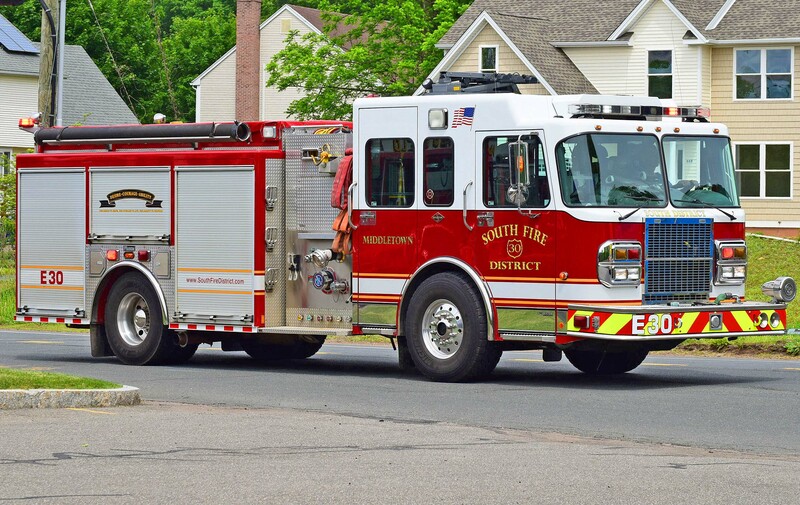 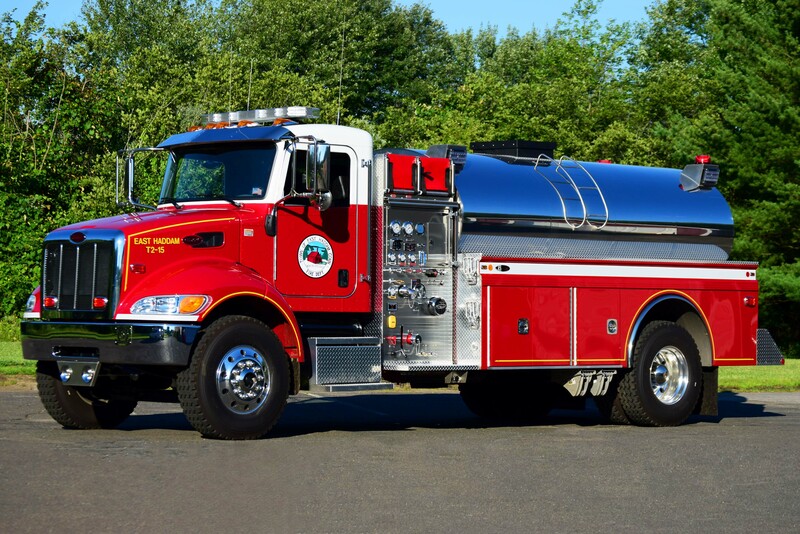 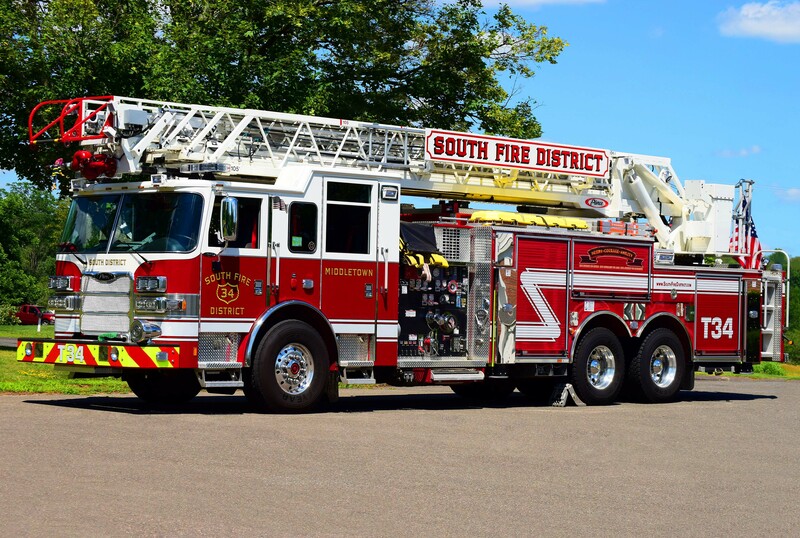 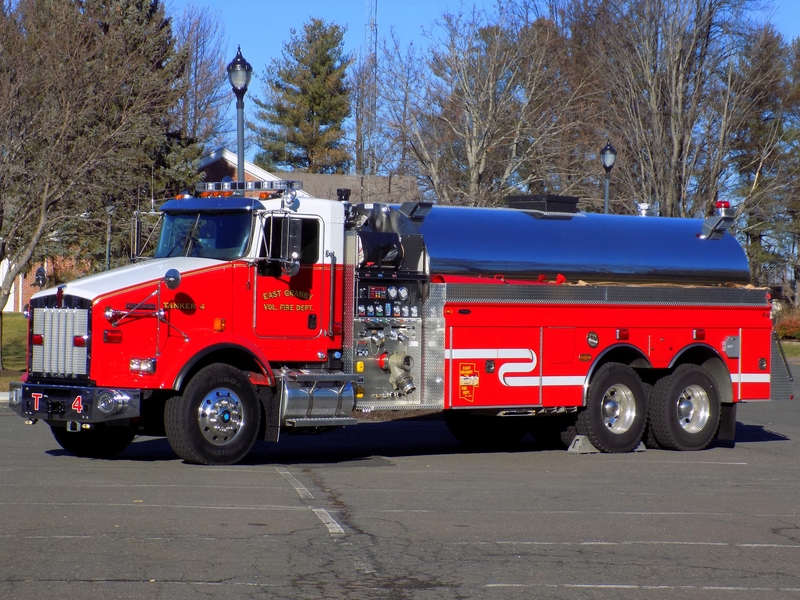 Added/replaced nearly all the pictures on the South Fire District page, including the *NEW* Ladder 34, added/replaced nearly all the pictures on the Haddam page including the *NEW* Engine 6-13 and *NEW* Utility 8-13, also added ATV 15, ﻿*NEW* Tanker 2-15﻿ and the refurbished Tanker 1-15 to the East Haddam page. 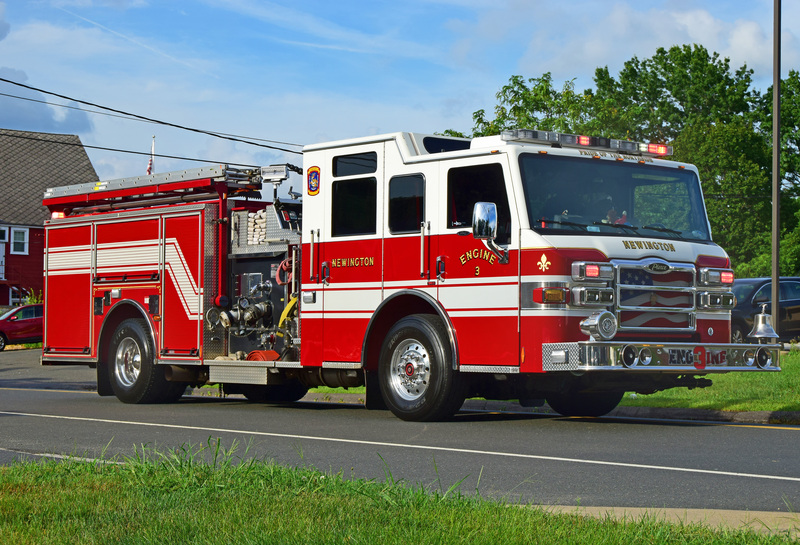 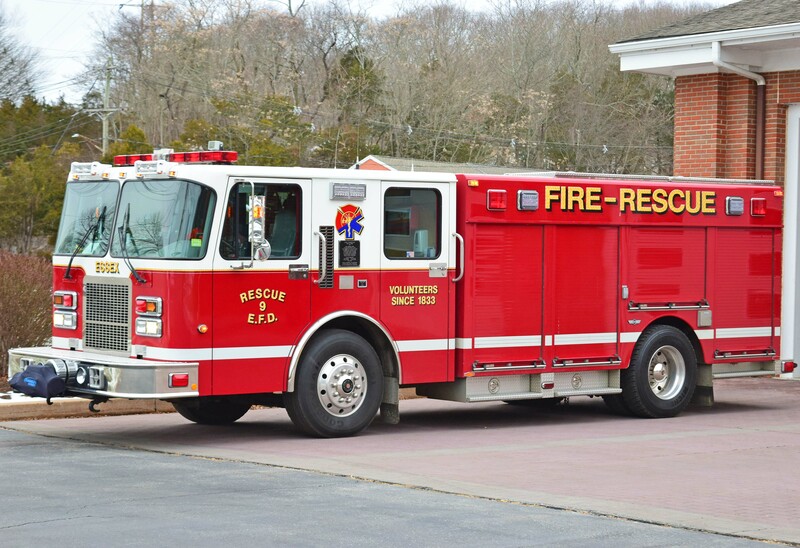 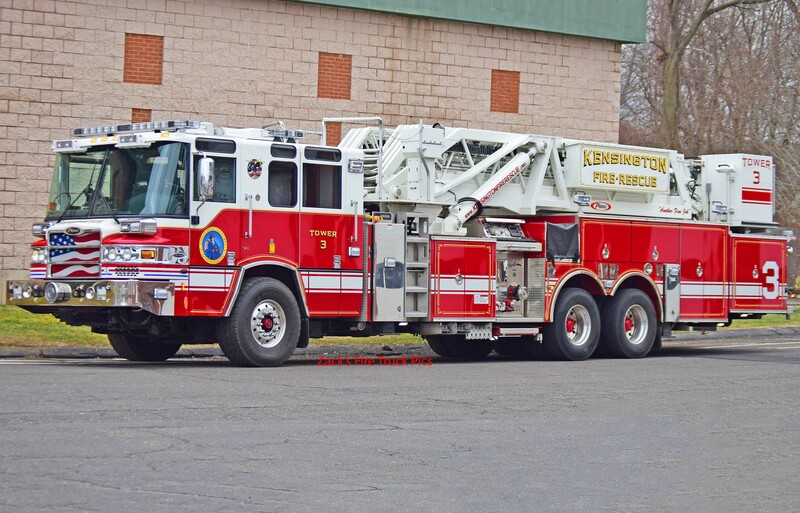 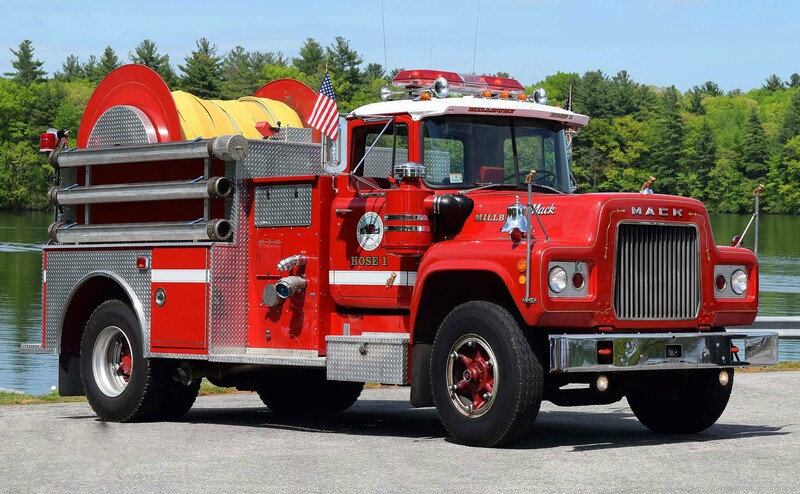 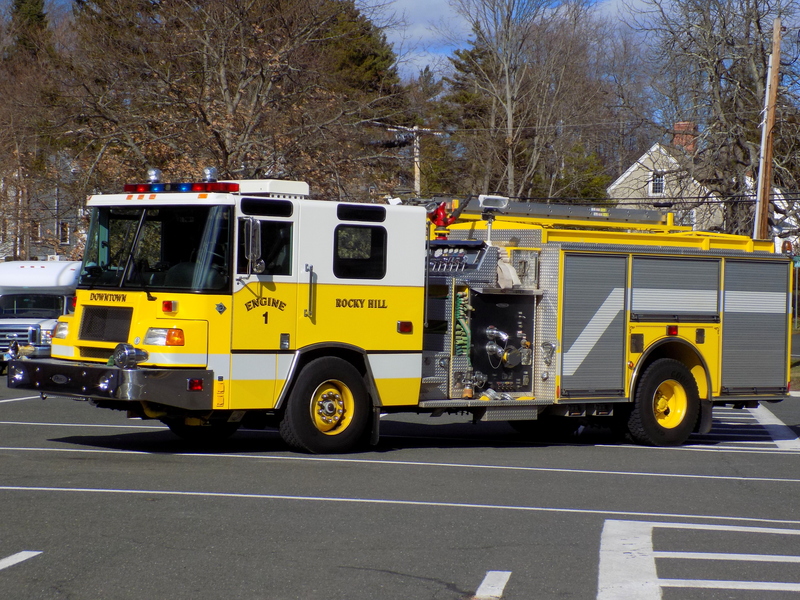 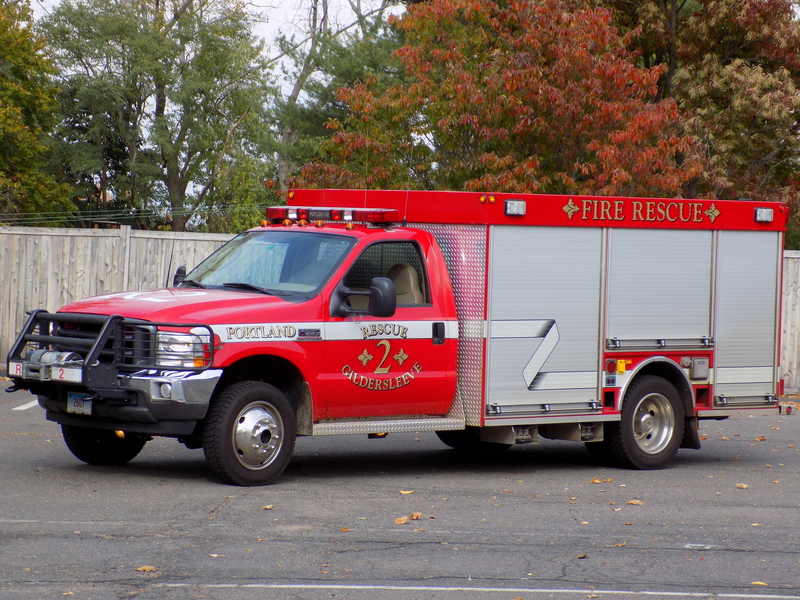 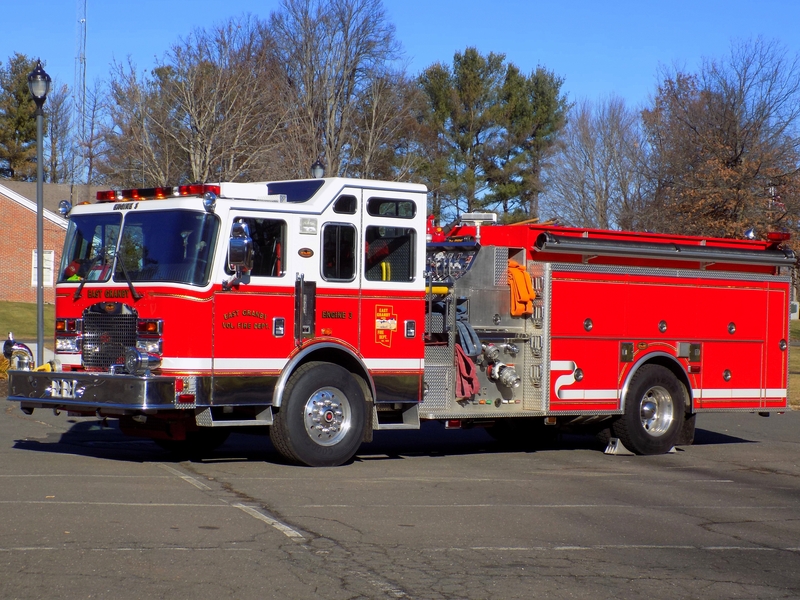 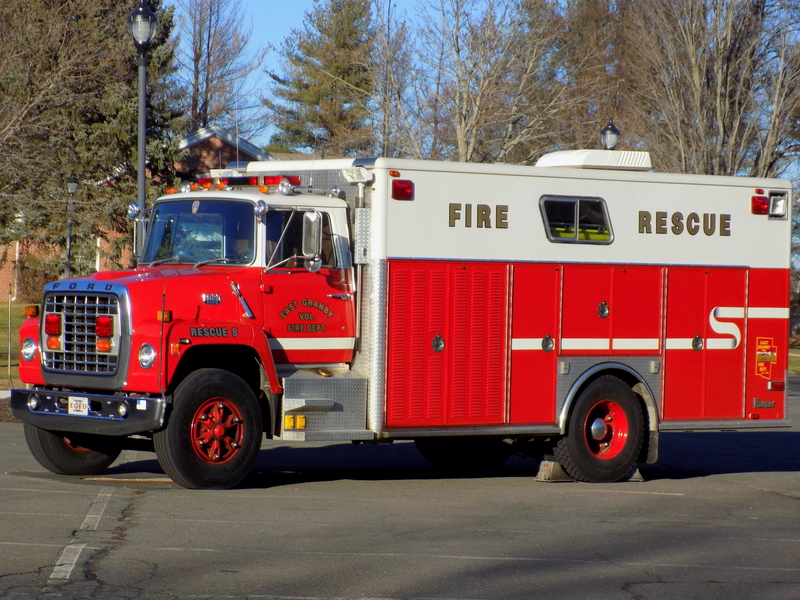 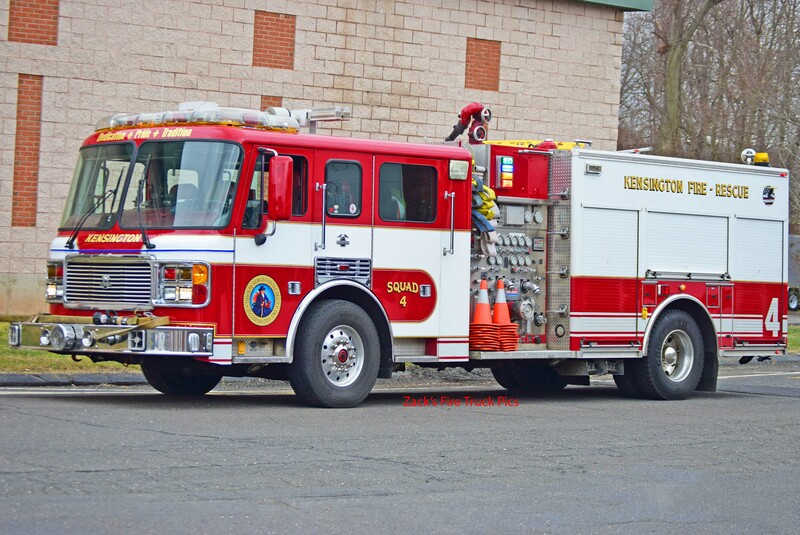 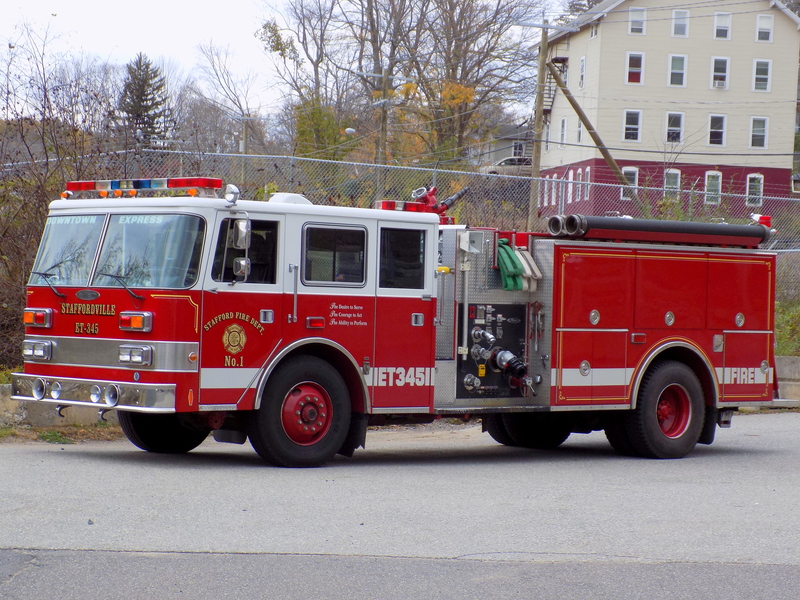 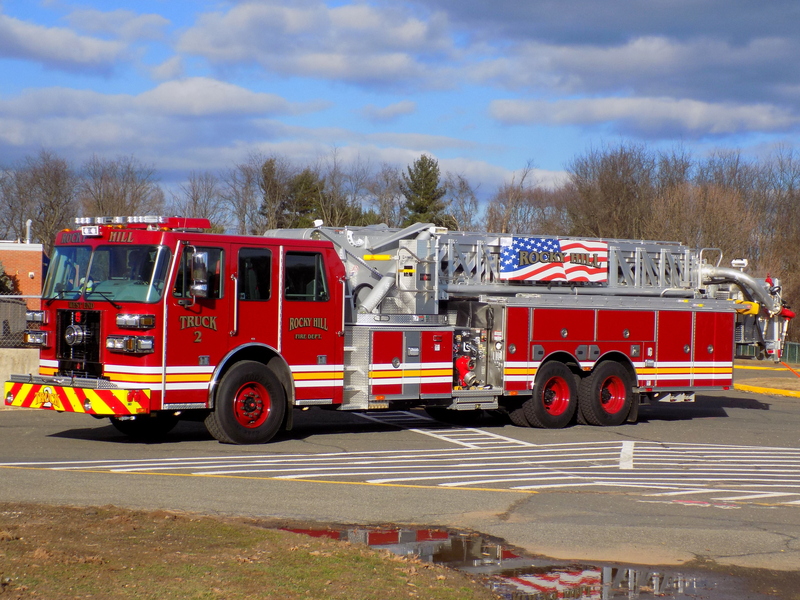 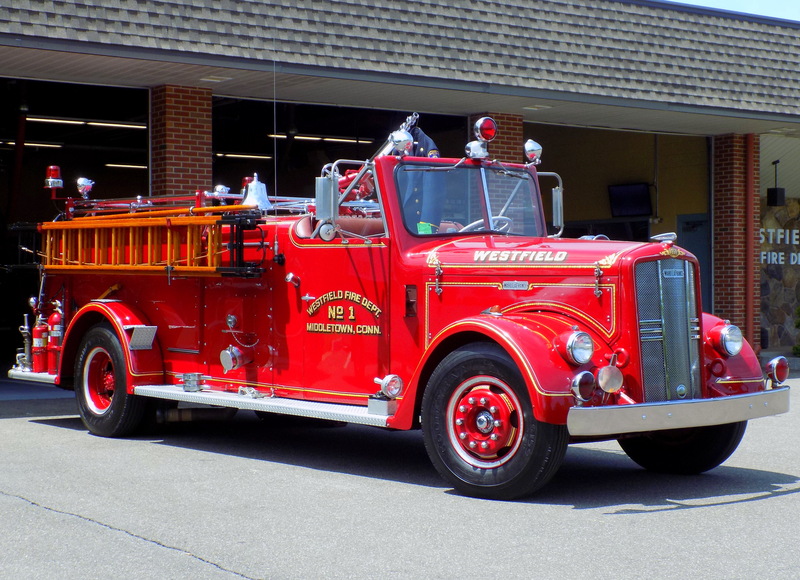 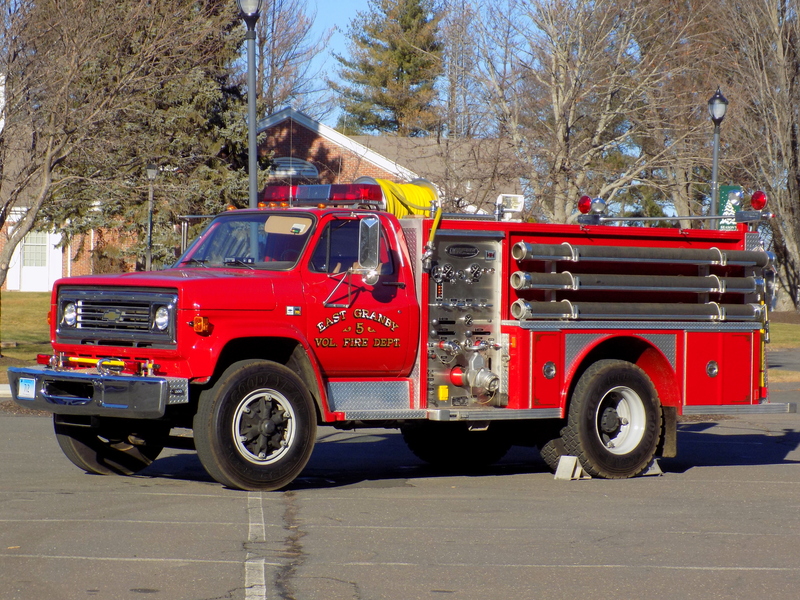 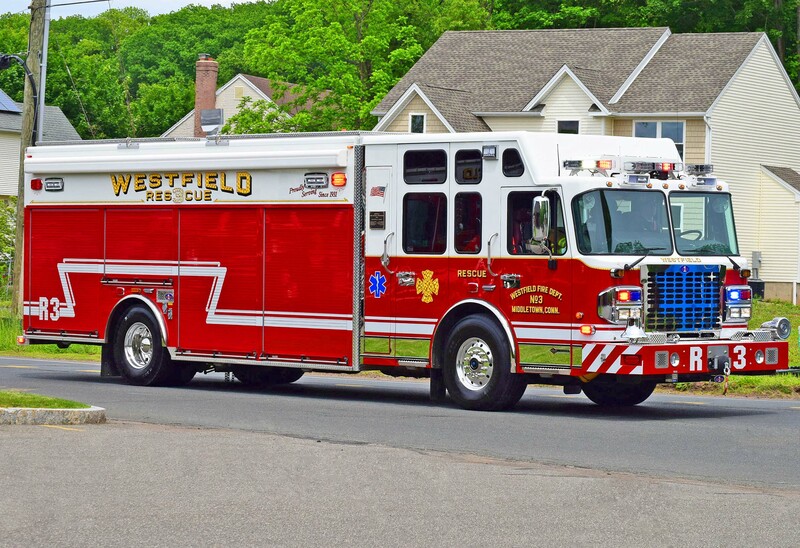 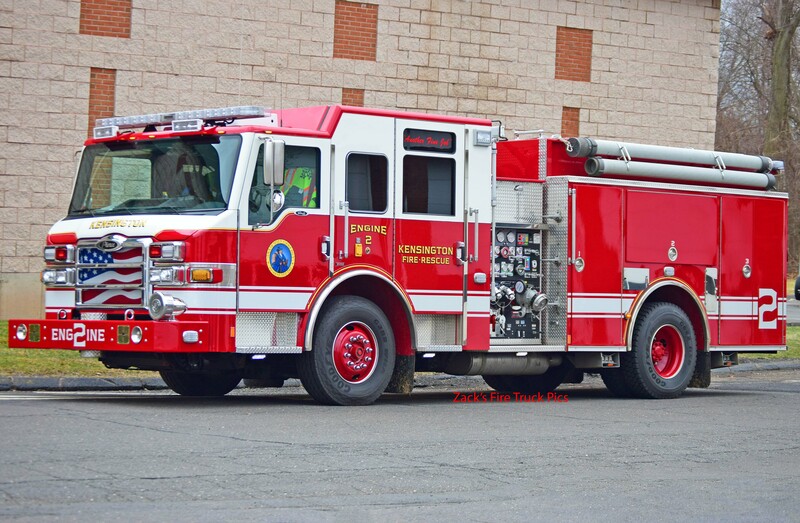 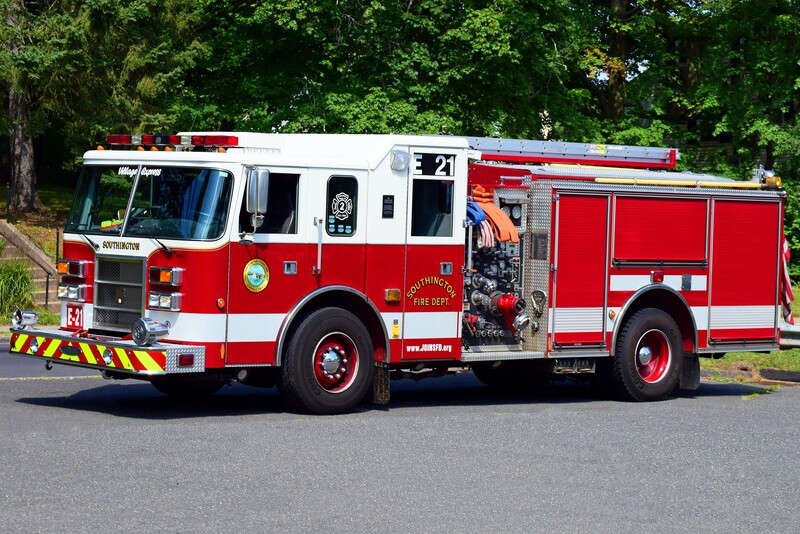 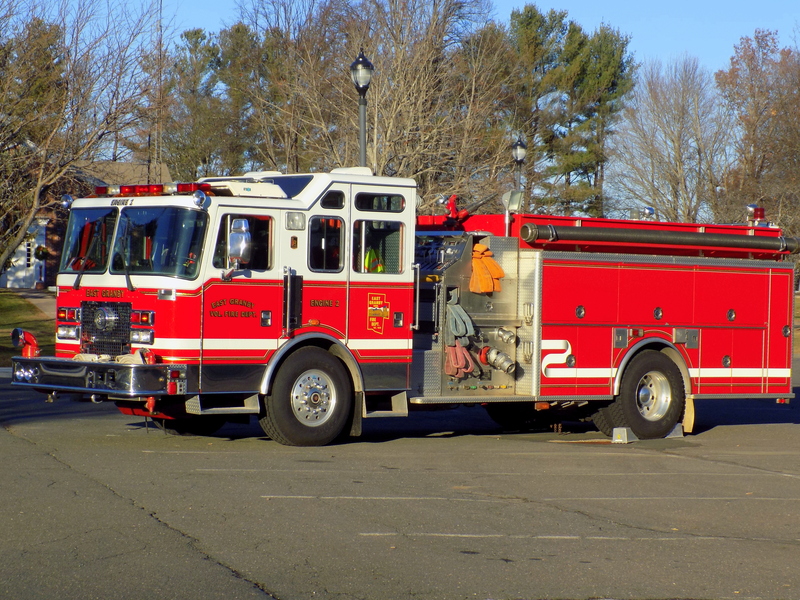 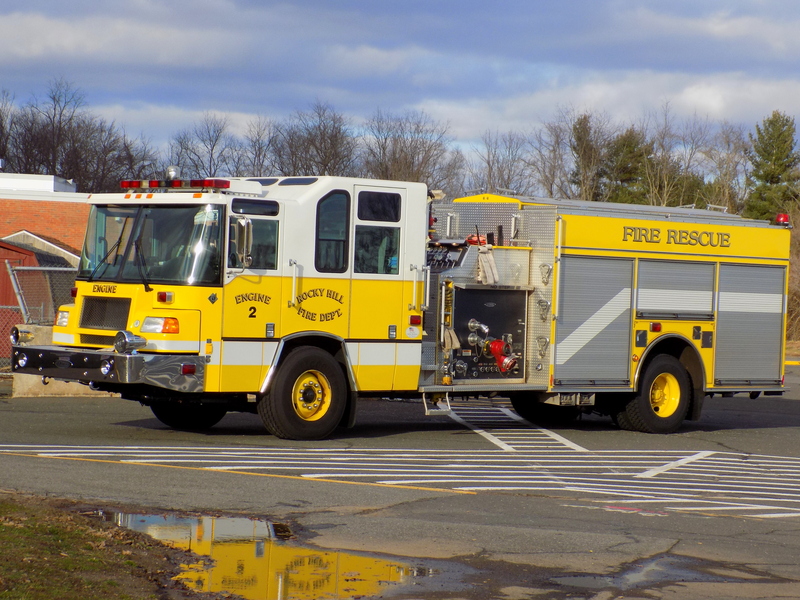 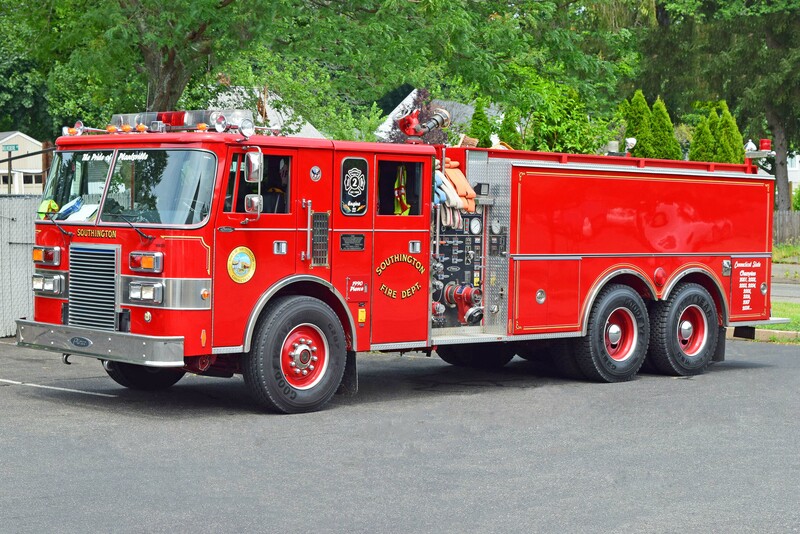 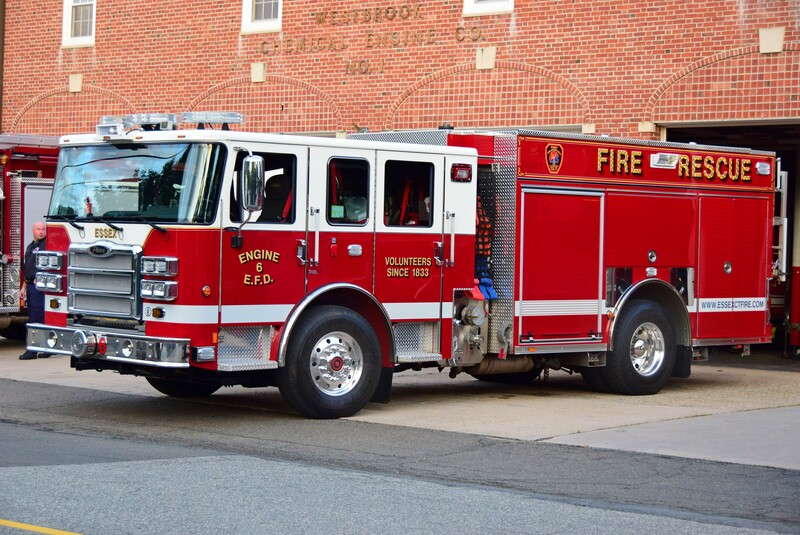 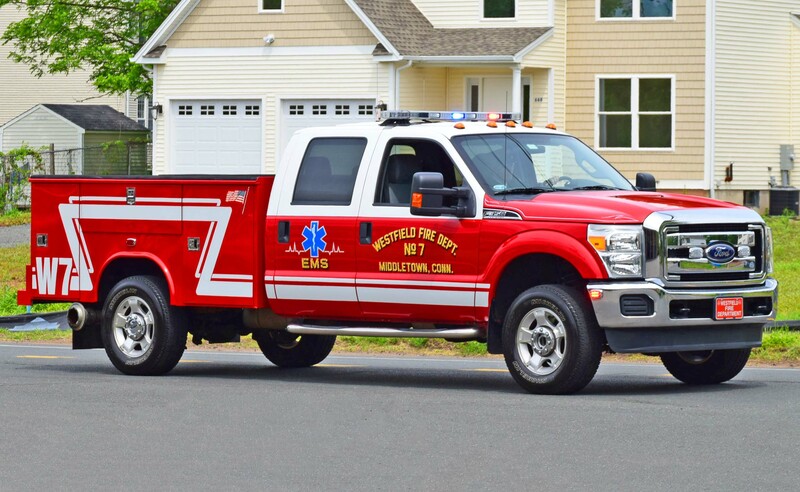 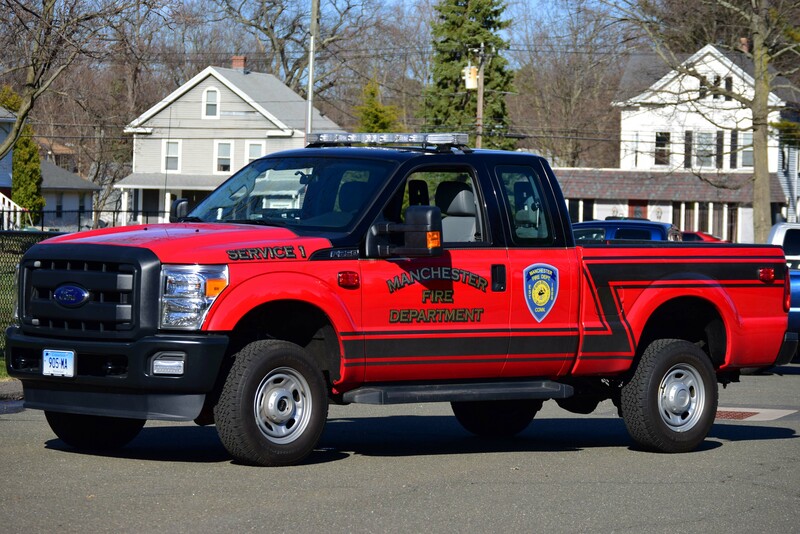 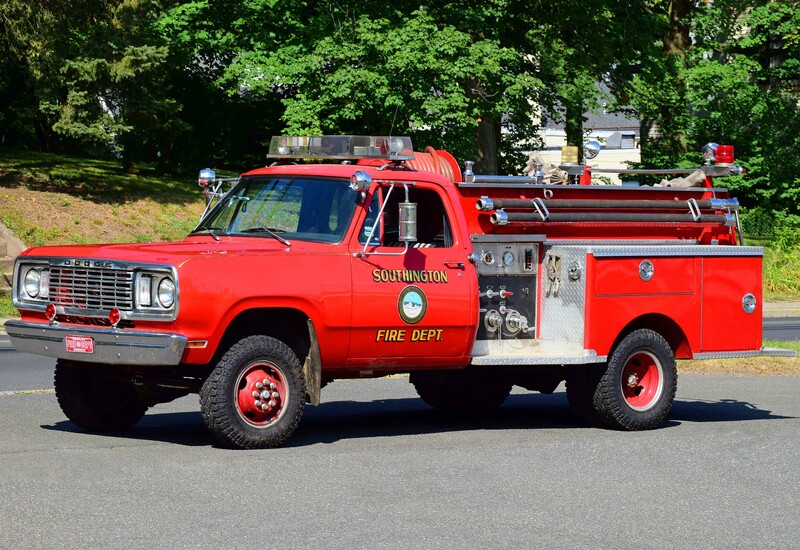 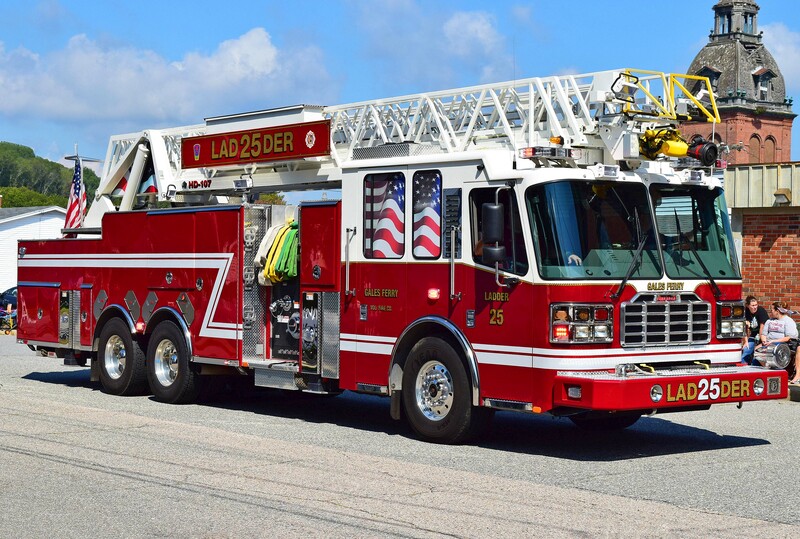 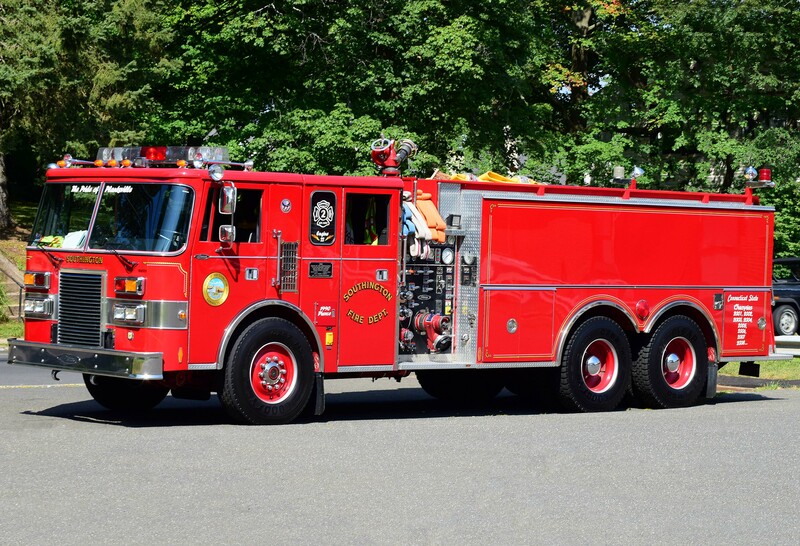 Also added the *NEW* Rescue 3 to the Rocky Hill page, added all the pictures on the Wallingford page, added Engine 2 (view 2) to the Kensington page, added Engine Tanker 22 to the Southington page, *NEW* Ladder 1 to the Cheshire page, the Antique truck (view 4) to the Westfield page, *NEW* Ladder 9 to the Berlin page, and Engine 1 (view 3), Engine 5, and Tac 1 (view 2) to the Meriden page. 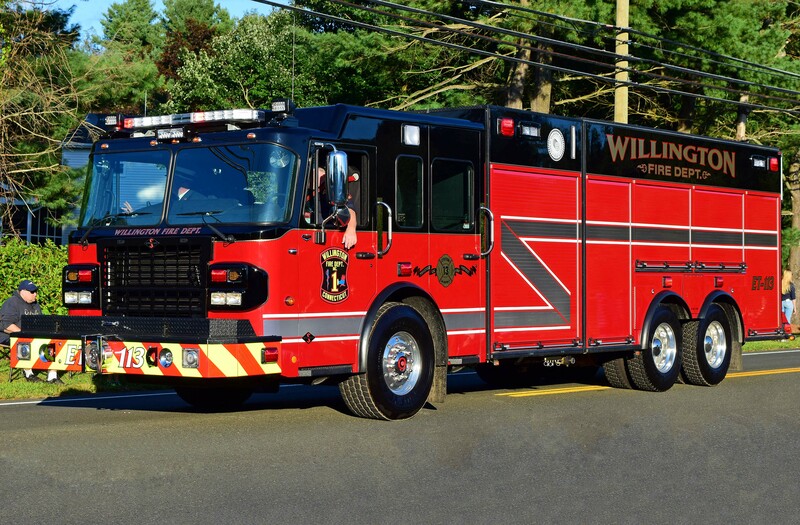 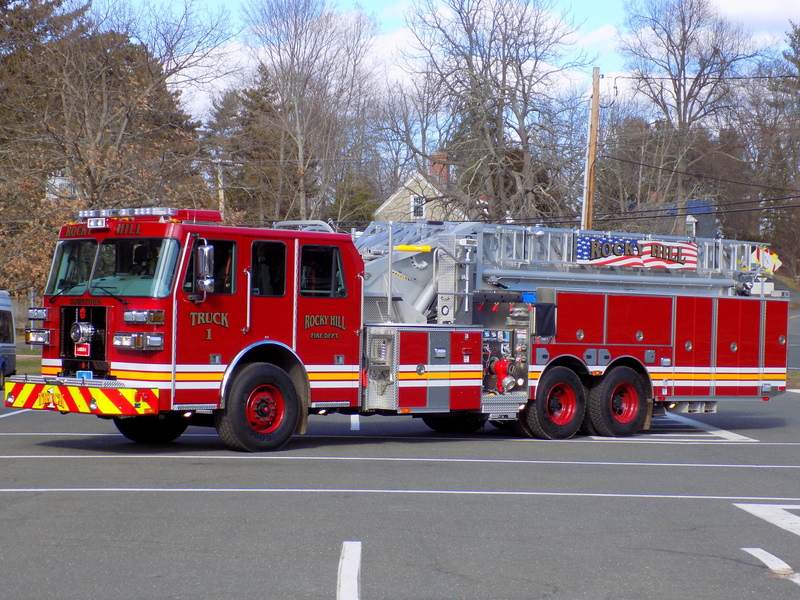 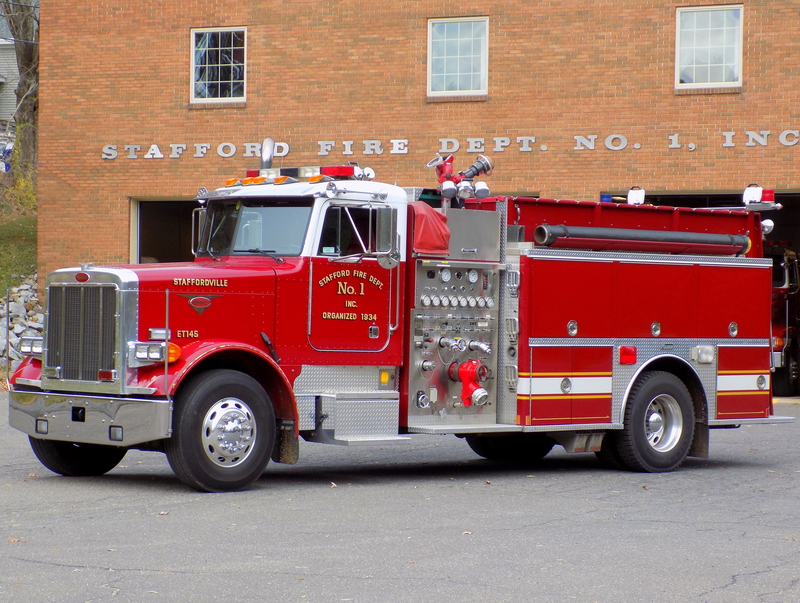 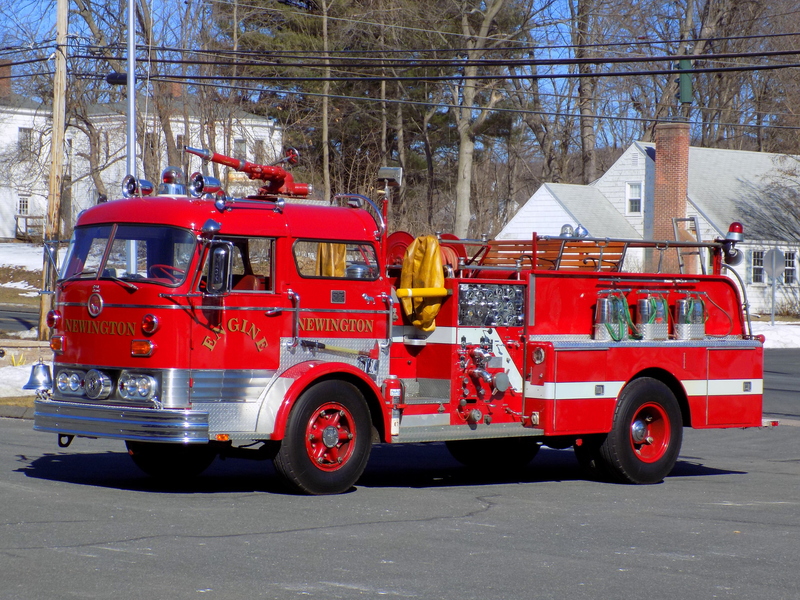 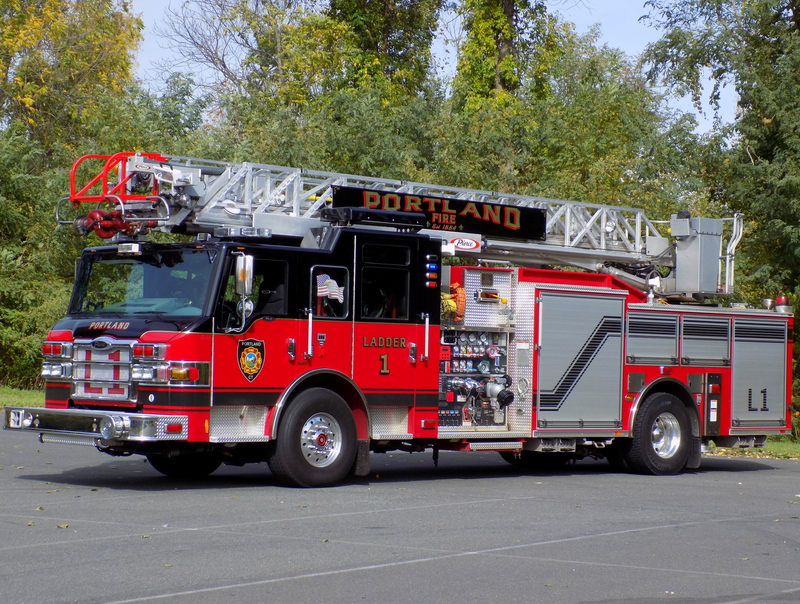 Added/replaced nearly all the pictures on the Windsor Locks page, and finally, added/replaced some pictures (mostly fire stations) on the Guilford and Branford pages. 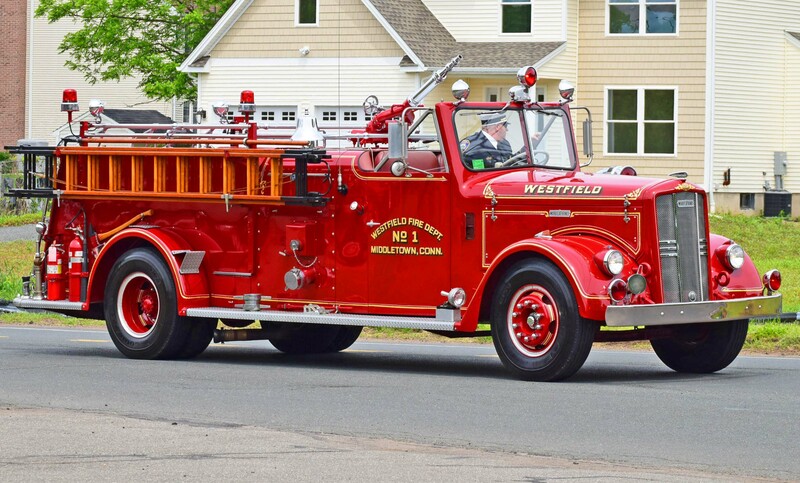 9/5/17 - Added the Antique Truck, Brush 2, Engine 21 and Engine Tanker 22 (view 2) to the Southington page. 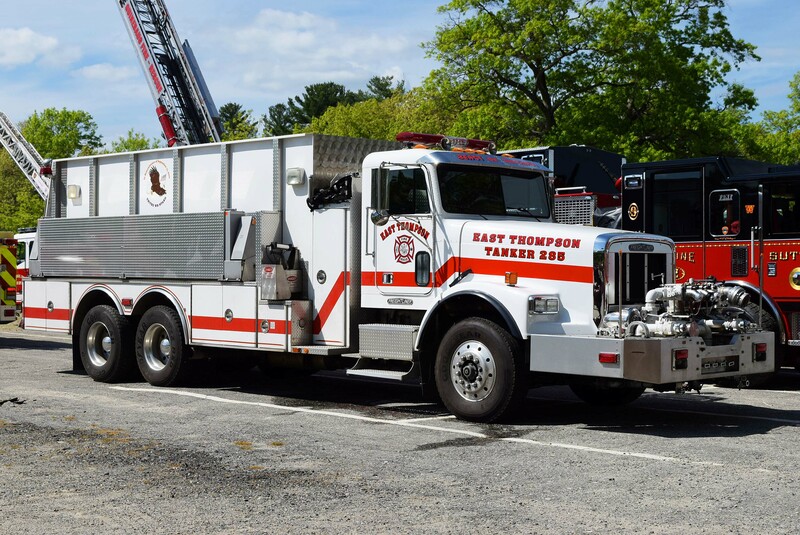 Also added various pictures to various pages from the Tunxis Hose Co. parade back in July, including the *NEW* Engine 4 and *NEW* Engine 6 on the Farmington page. 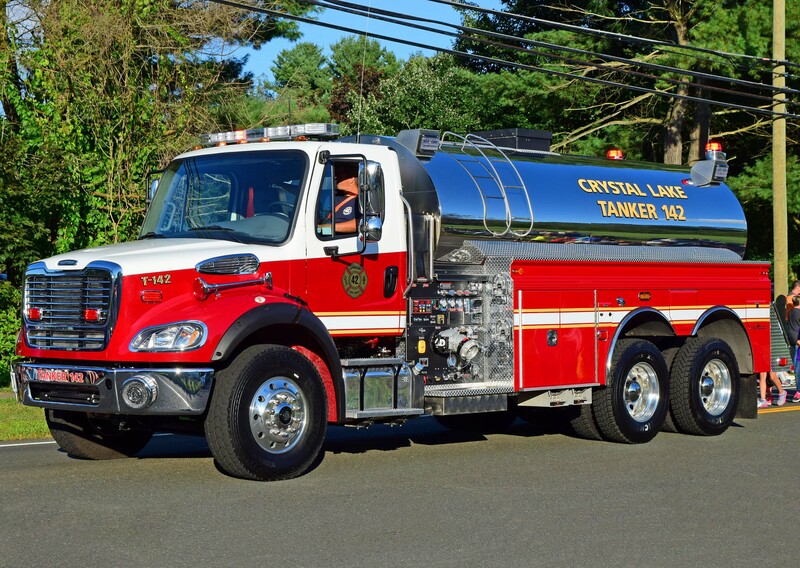 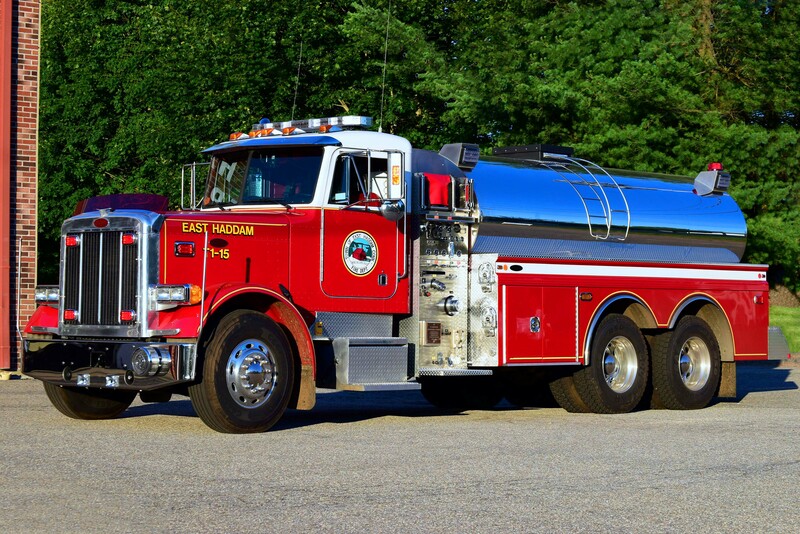 10/15/17 - Added a ton of pictures to a ton of pages from the Ellington, State Convention, and Newington 100th Anniversary parades from September; including the *NEW* Tanker 415 in Ashaway, RI, *NEW* Tanker 142 in Crystal Lake, the *NEW* Ladder 1-12 in East Hampton, the *NEW* Ladder 25 in Gales Ferry, the *NEW* Engine Tank 155 in Griswold, the *NEW* Engine 1 in Newington , the *NEW* Squad 145 in Stafford, and the *NEW* Engine Tanker 113 in Willington. 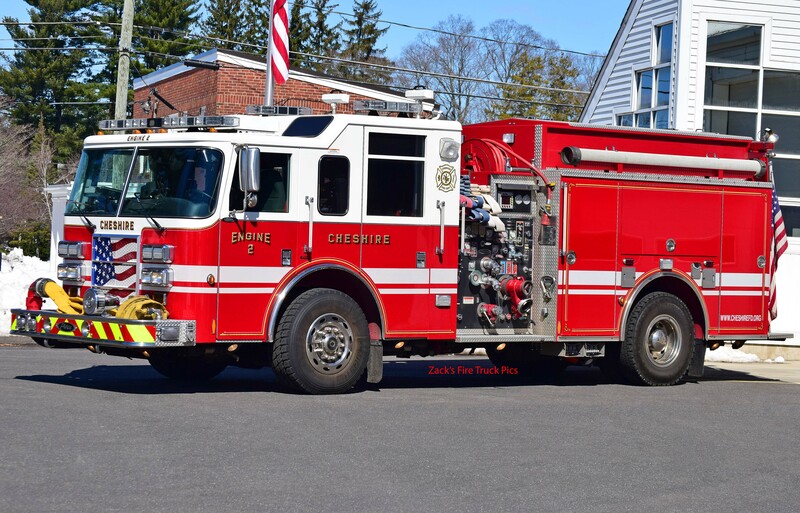 12/22/17 - Added *NEW* Engine 6-5-6, Rescue 6-9-1 (view 2), Rescue 6-9 (view 2), Tanker 6-6-3 (view 2), Tower 6-7-1 (view 2), Boat 6-9, Station 1 and Station 2 to the Essex page. 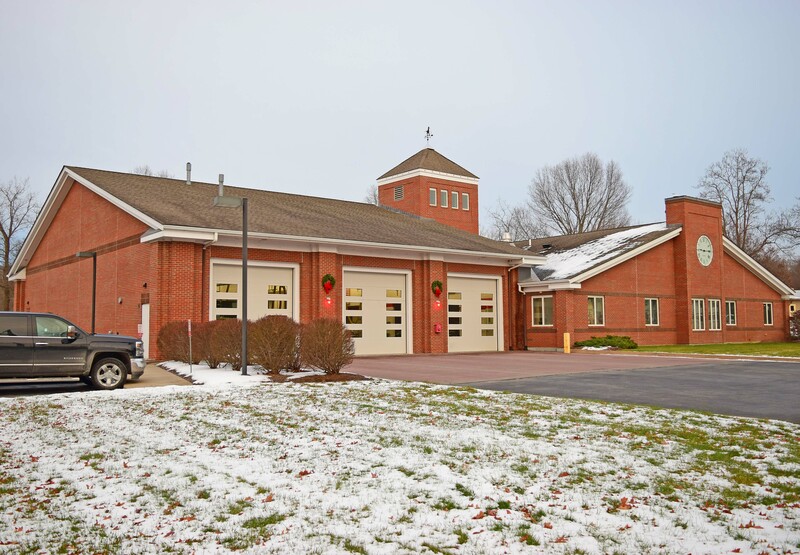 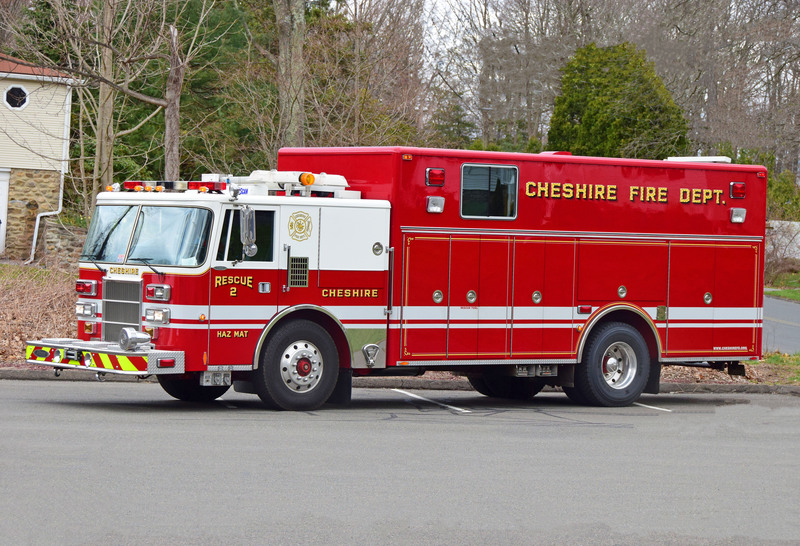 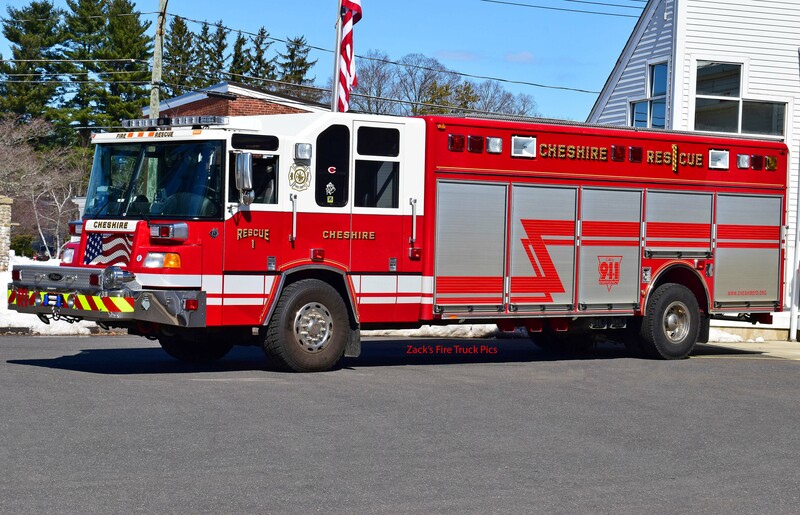 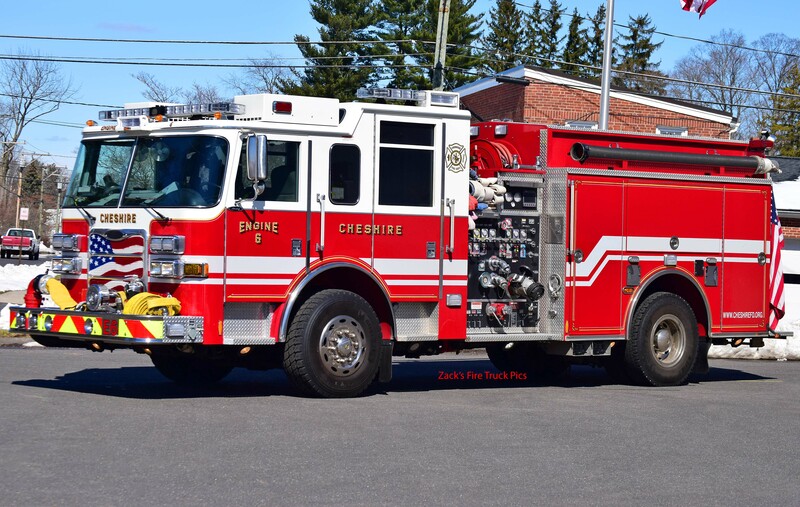 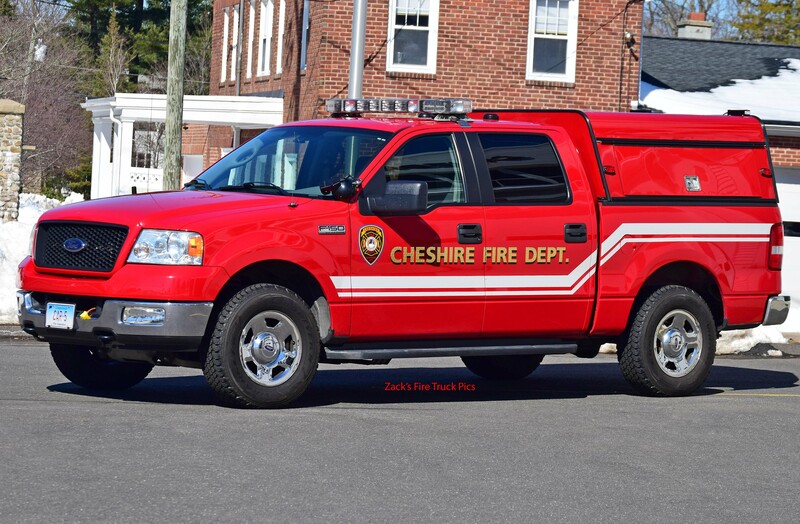 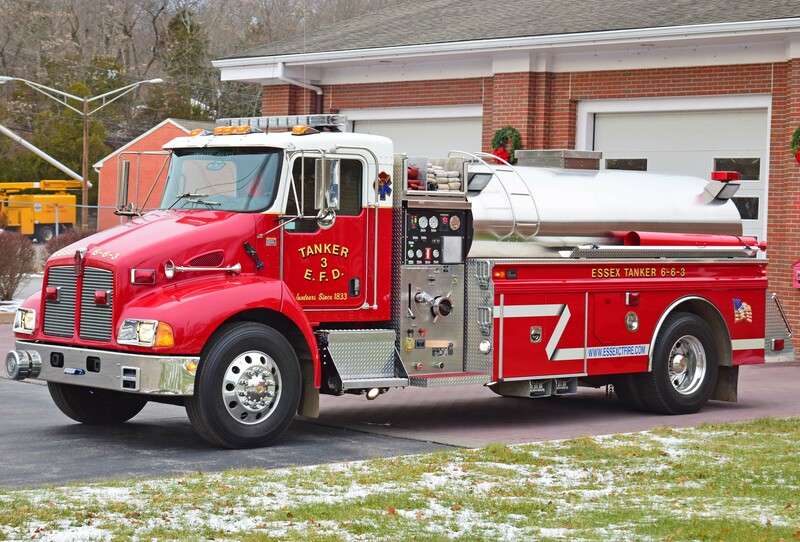 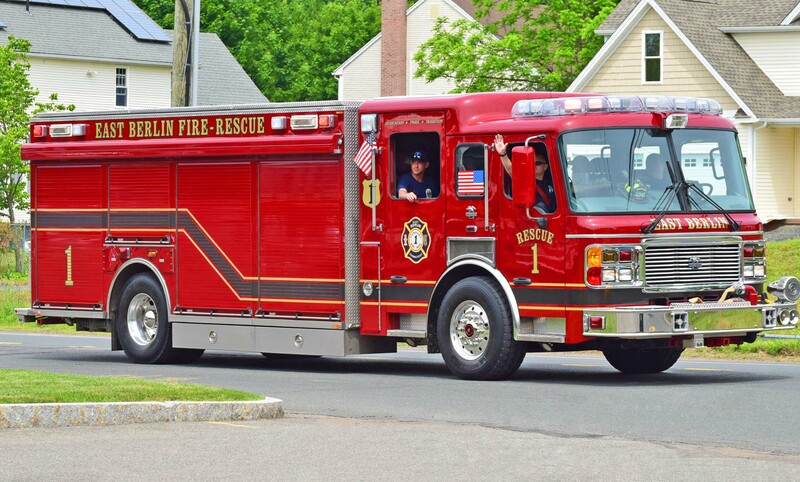 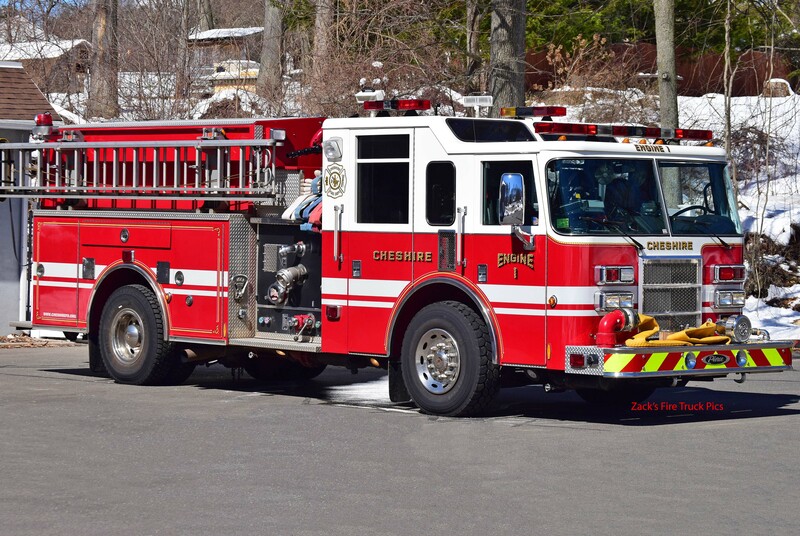 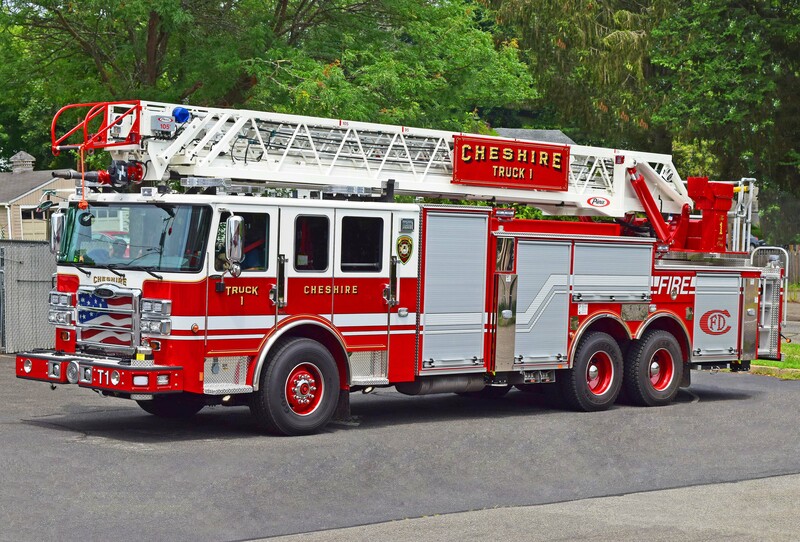 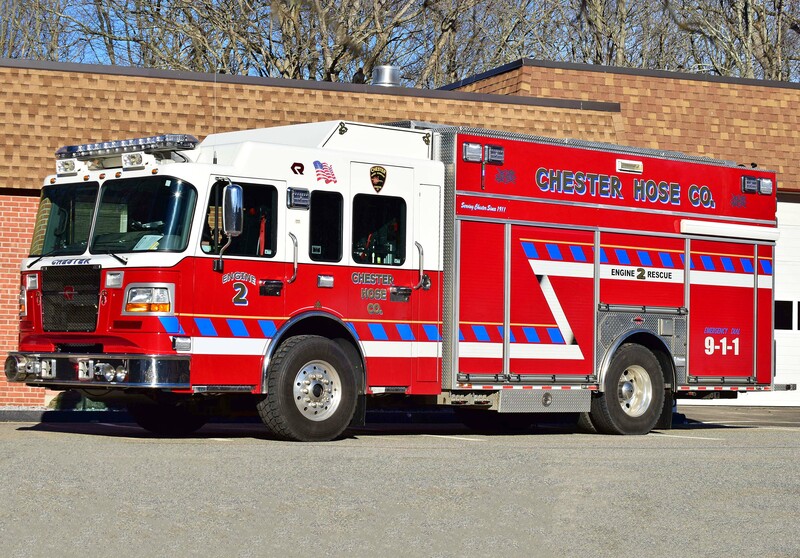 1/16/18 - Added Engine 7-5-1 and Engine 7-5-2, and replaced most of the pictures on the Chester page. 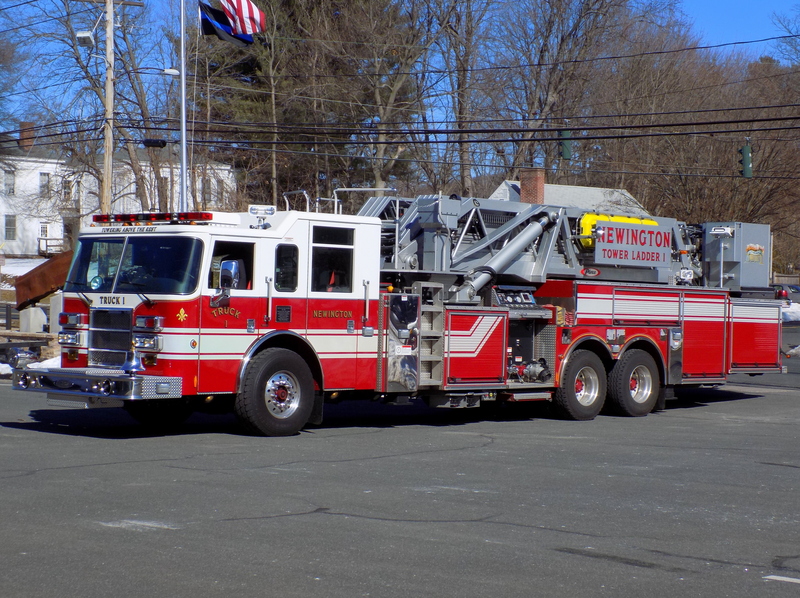 3/19/18 - Replaced Engine 6 (view 3), and added Rescue 1 (view 3) and Utility 5 (view 2) to the East Berlin page and added Engine 2 (view 3), Squad 4 (view 2), Tower 3 and Utility 201 (view 2) to the Kensington page. 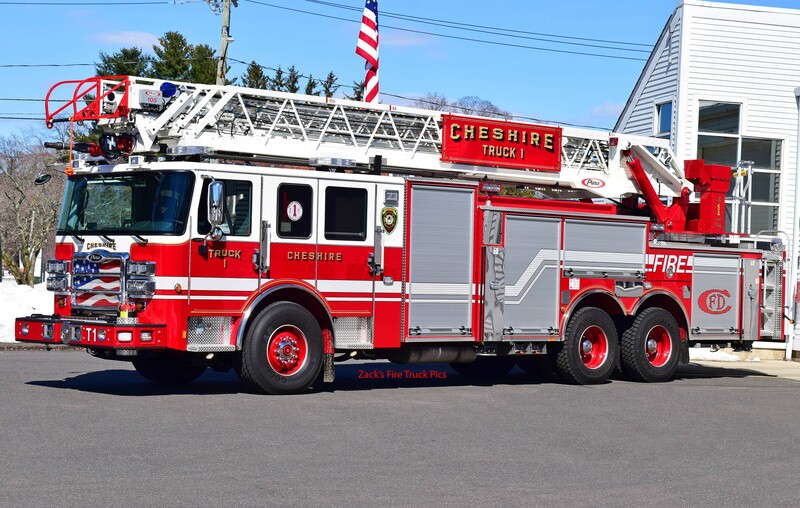 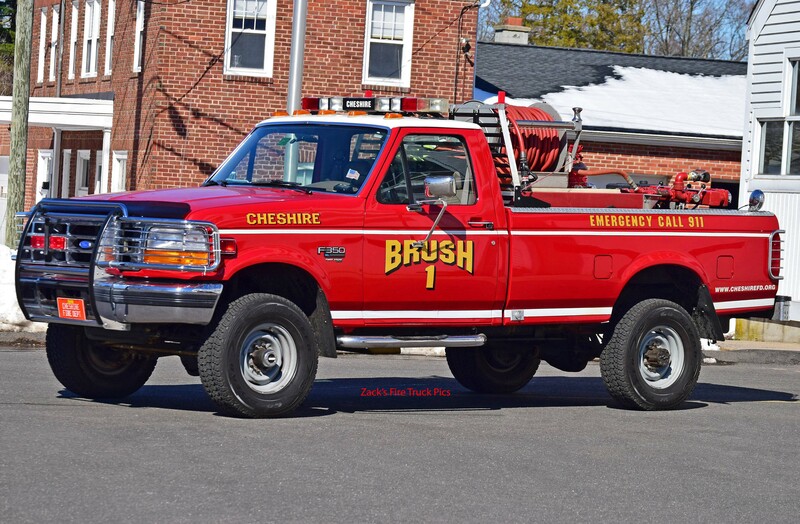 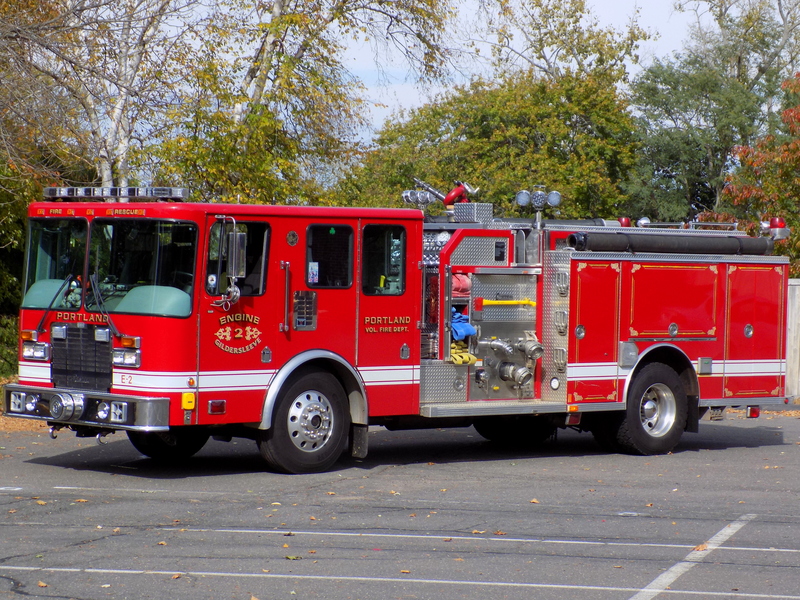 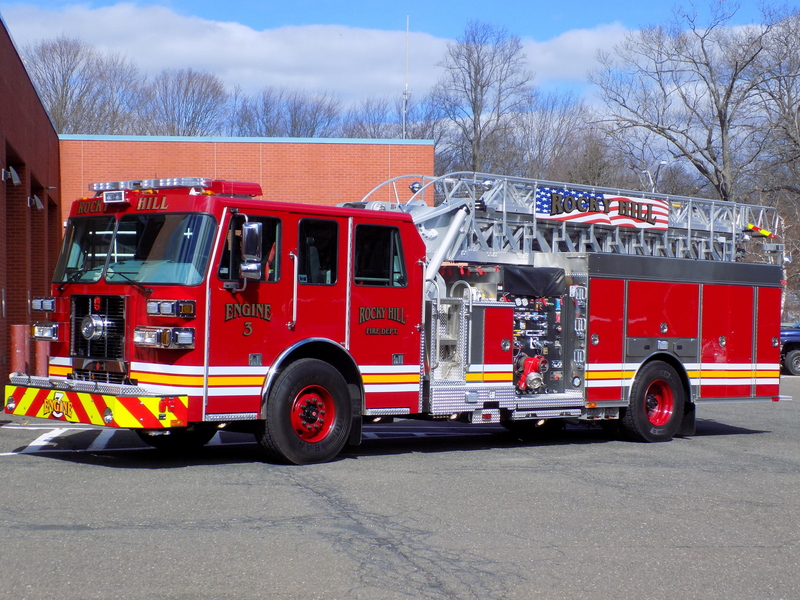 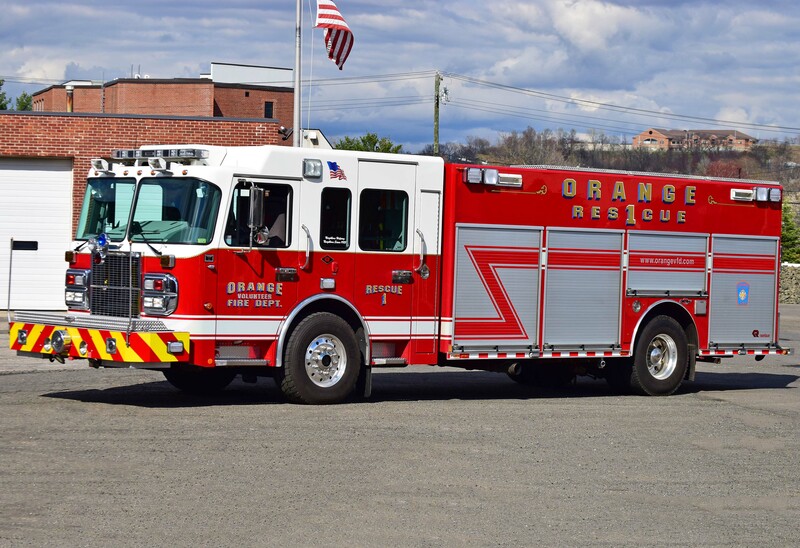 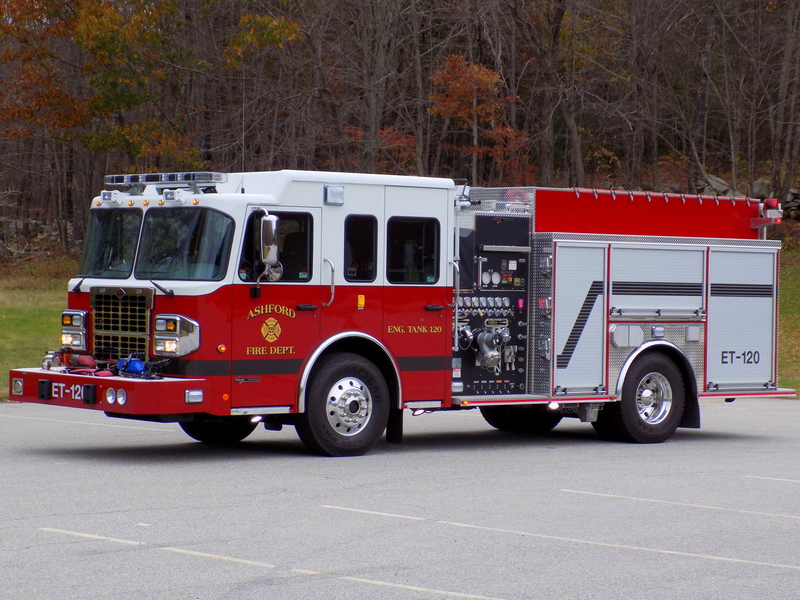 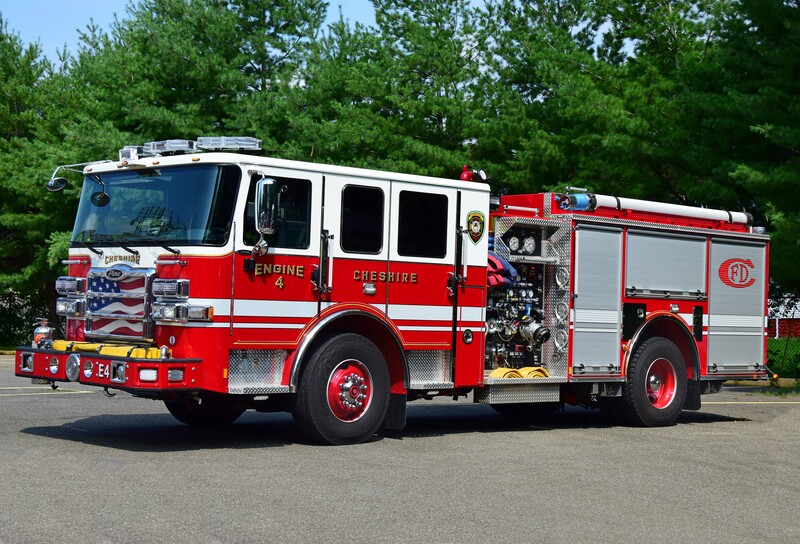 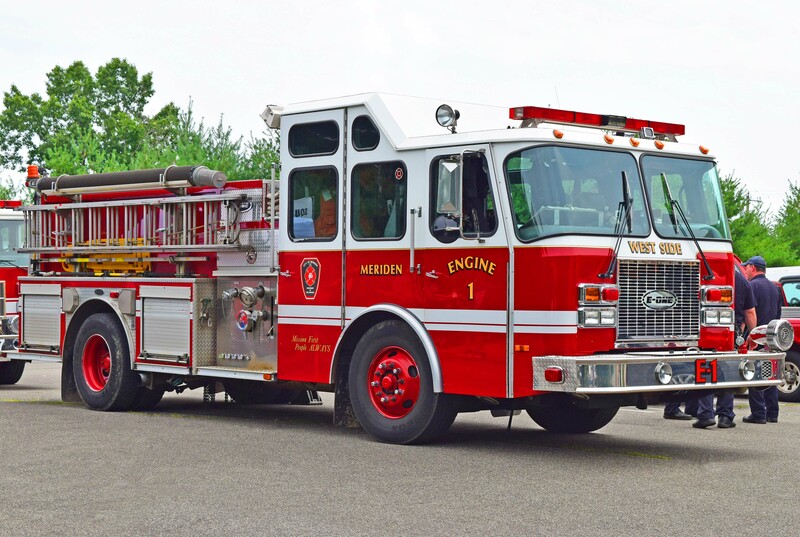 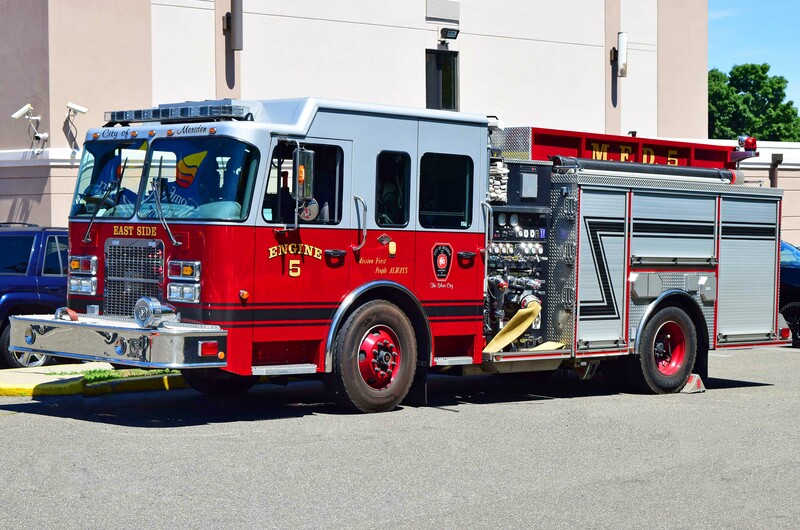 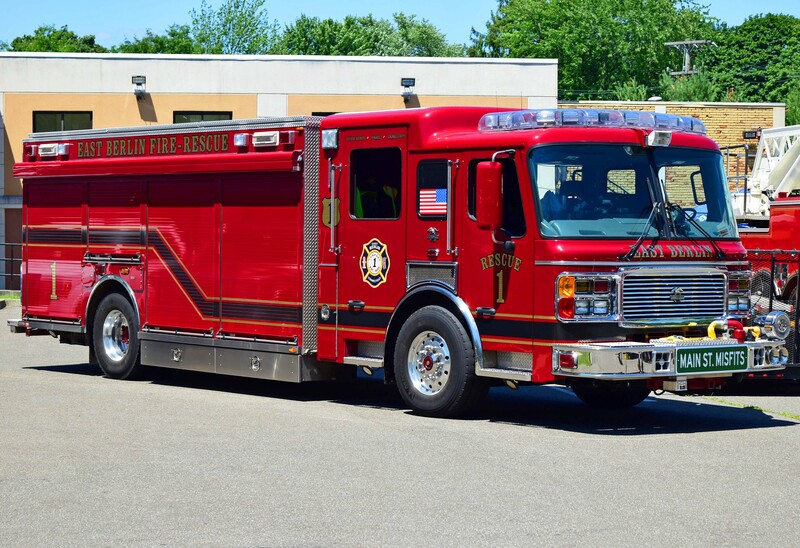 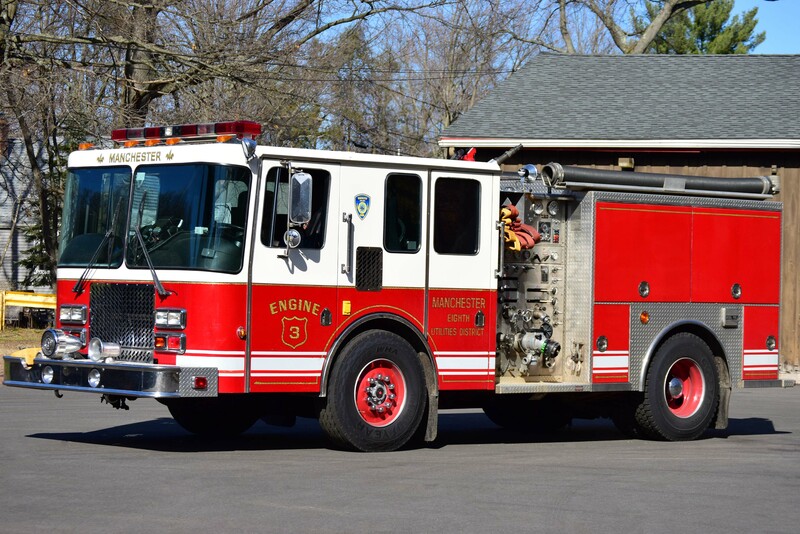 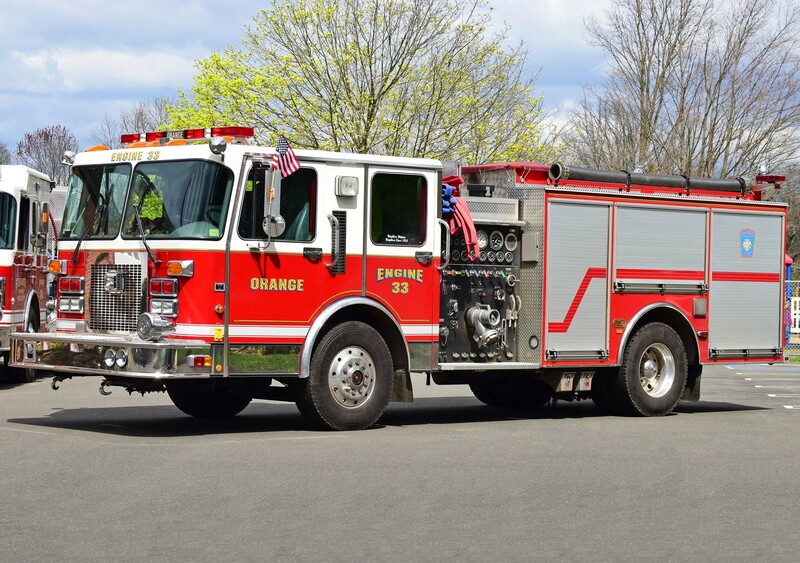 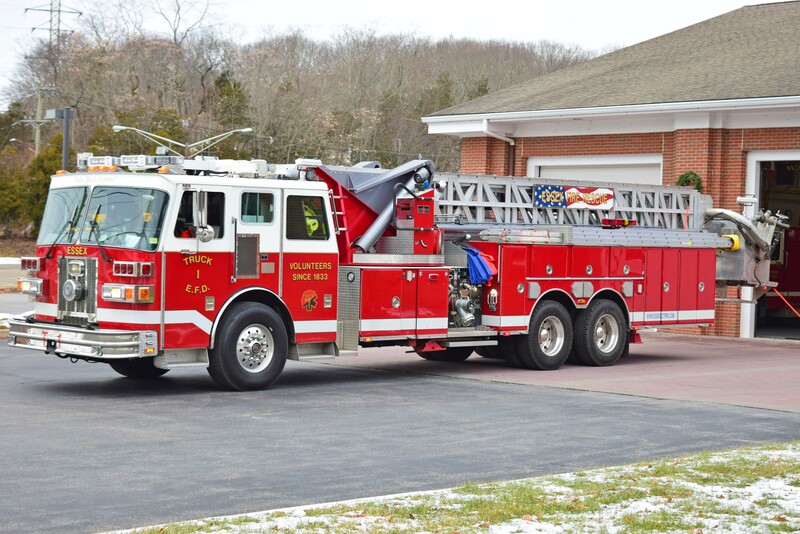 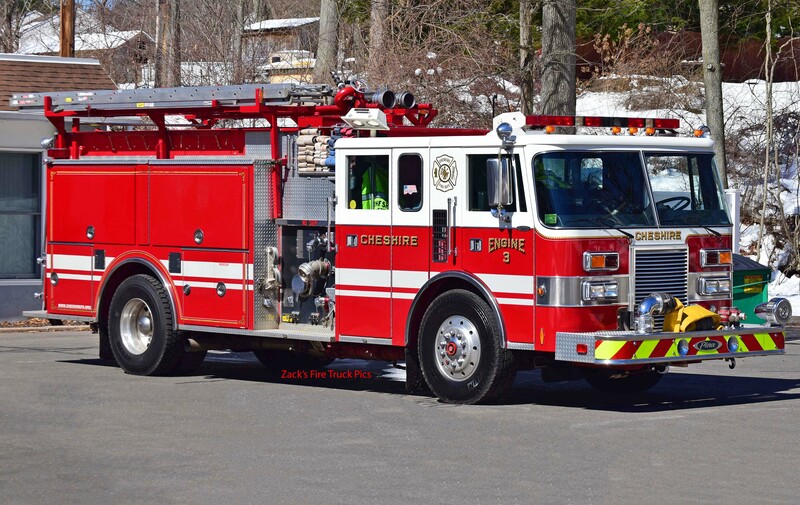 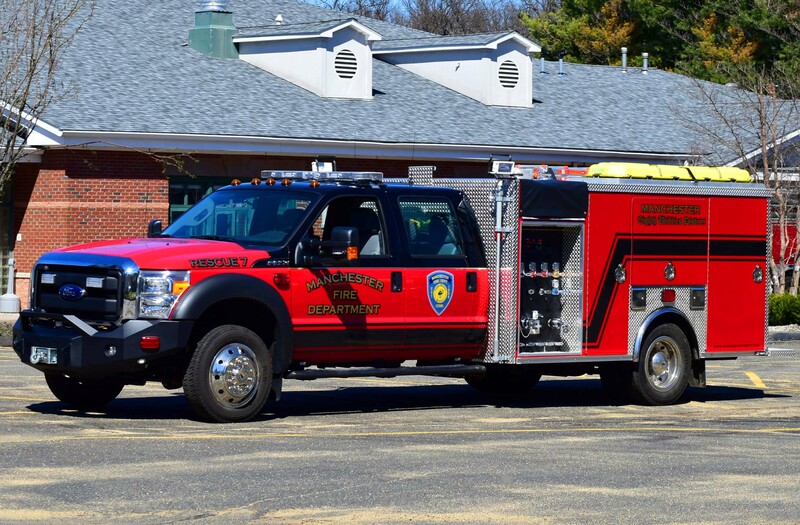 Also replaced the Antique Engine, Engine 2, Engine 6, and Rescue 1 (view 2), and added Car 5, Brush 1, Engine 1, Engine 3, Engine 4, Ladder 1 (view 2), Rescue 1 (view 2), and Rescue 2 to the Cheshire page. 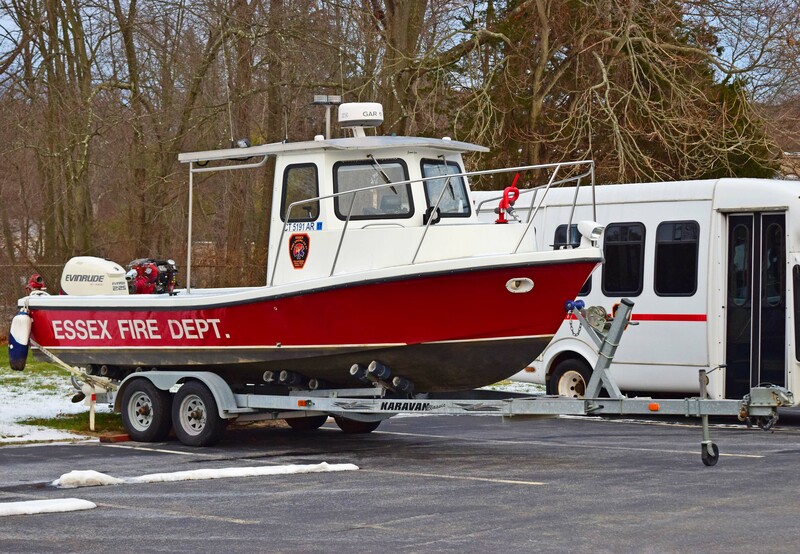 5/4/18 - Replaced most all of the pictures and added Ladder 25 (view 2) on the Gales Ferry page. 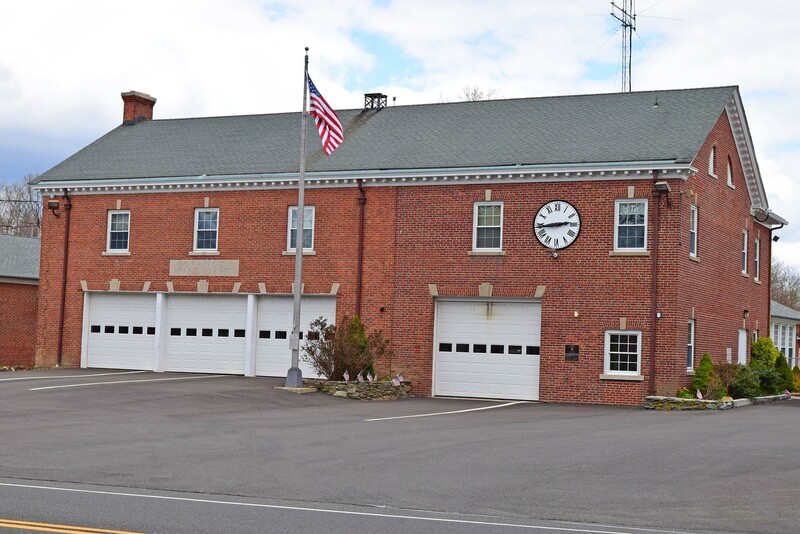 Also replaced the Engine 32 picture, and added Engine 33, Engine 34, Engine 35, Ladder 37, Rescue 1, and Station 1 to the Orange page.